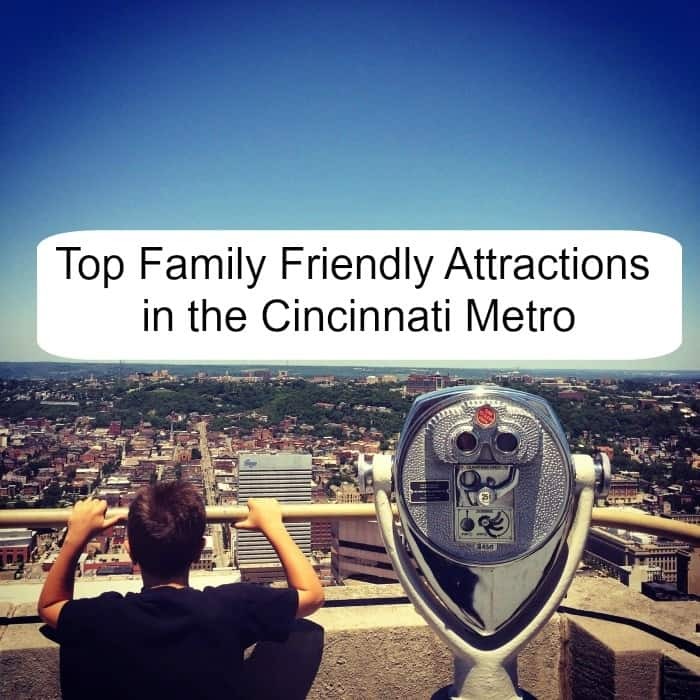 When you visit the Cincinnati Metro area, there is so much to see and do for families. 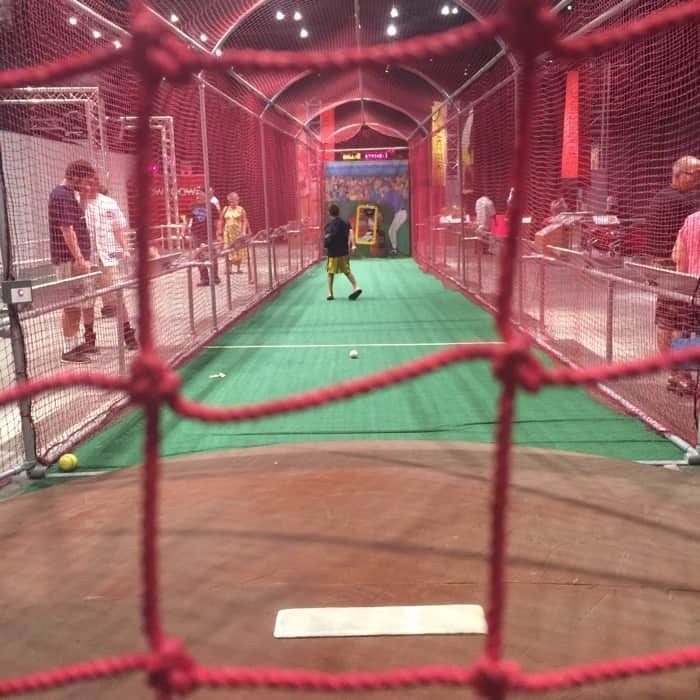 The Cincinnati Museum Center has a new exhibit that is fun for all types of sports fans and ages. 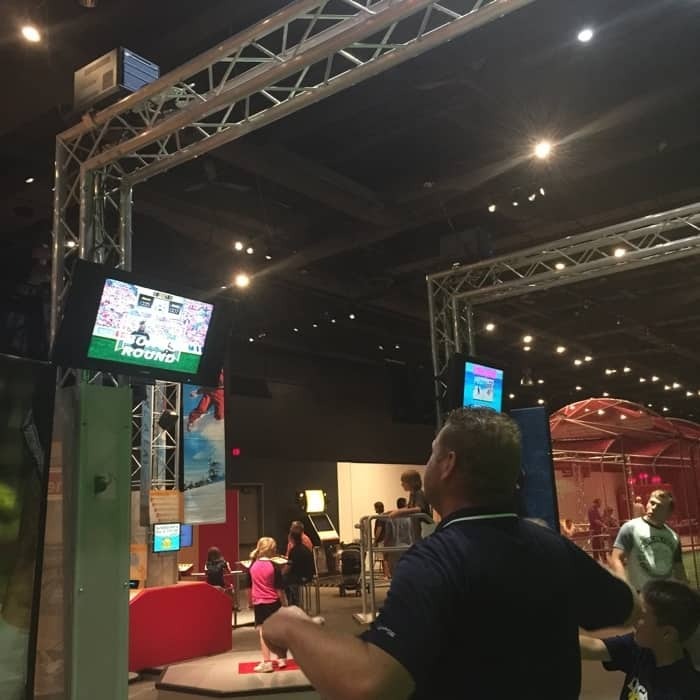 The Science of Sports exhibit allows you to play and while educating you on the science behind it. 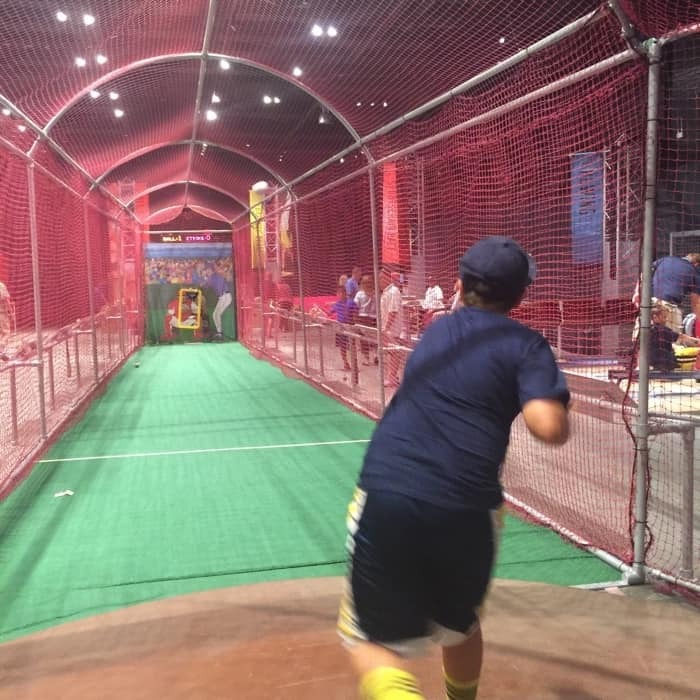 You can see what it’s like to throw a ball from pitcher’s mound. 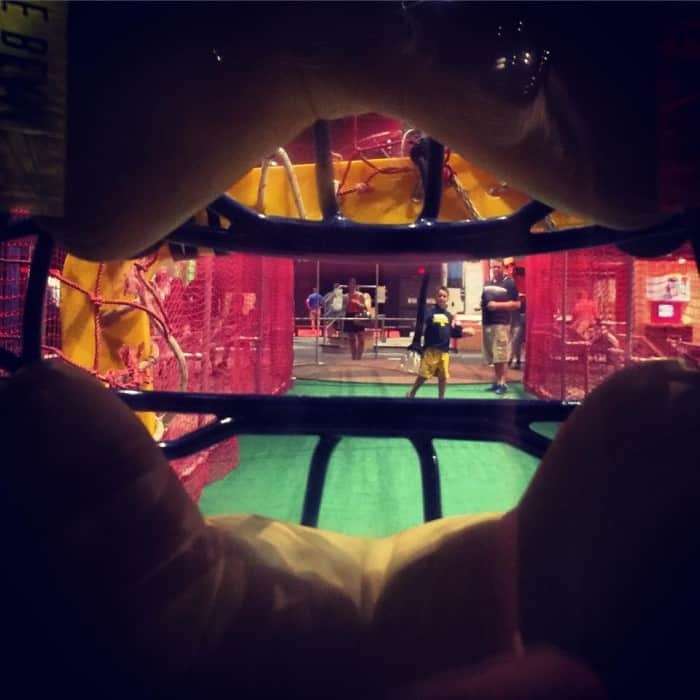 You can also get the catcher’s perspective. 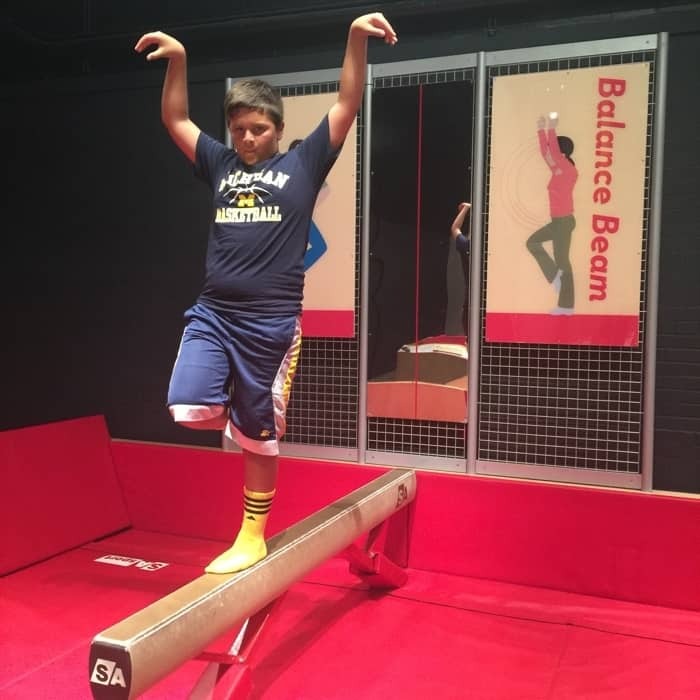 Test your skills on the balance beam and see how well you do trying a few balance moves without falling off. 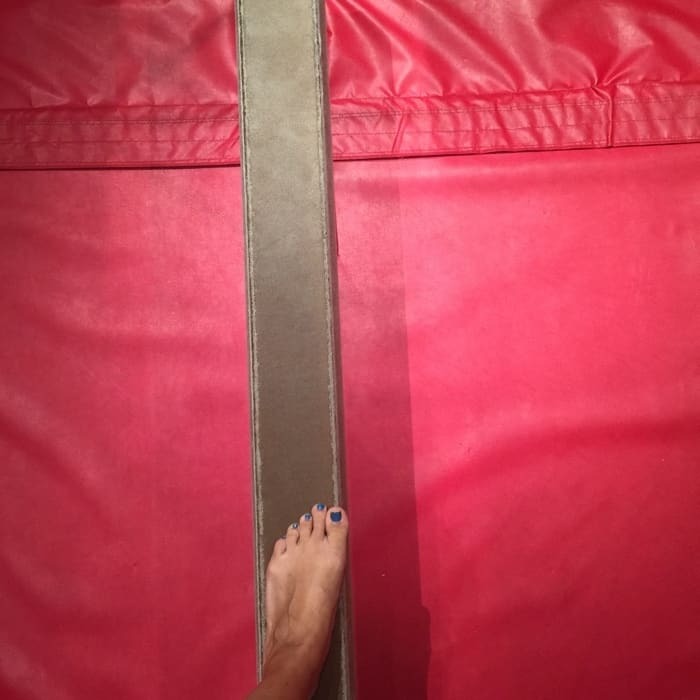 You will appreciate the skills of gymnasts even more because it’s harder than it looks. 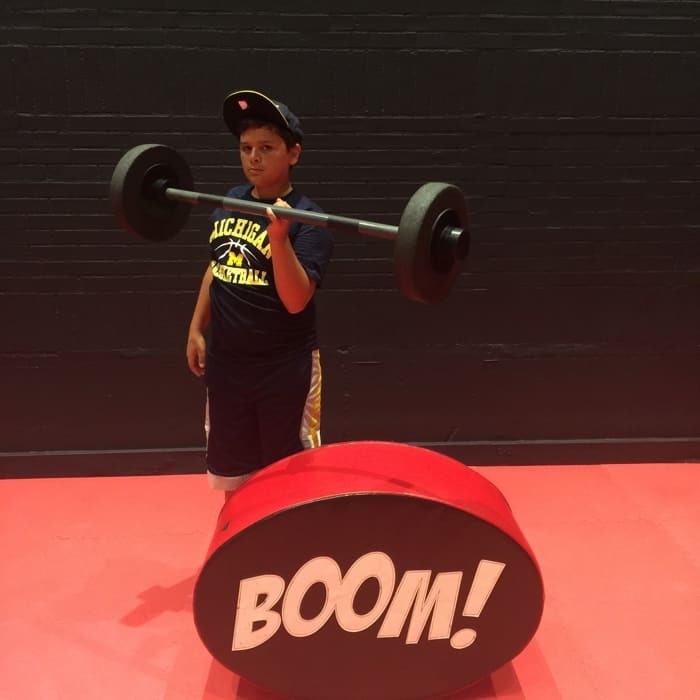 You can challenge someone to run a timed sprint against you. 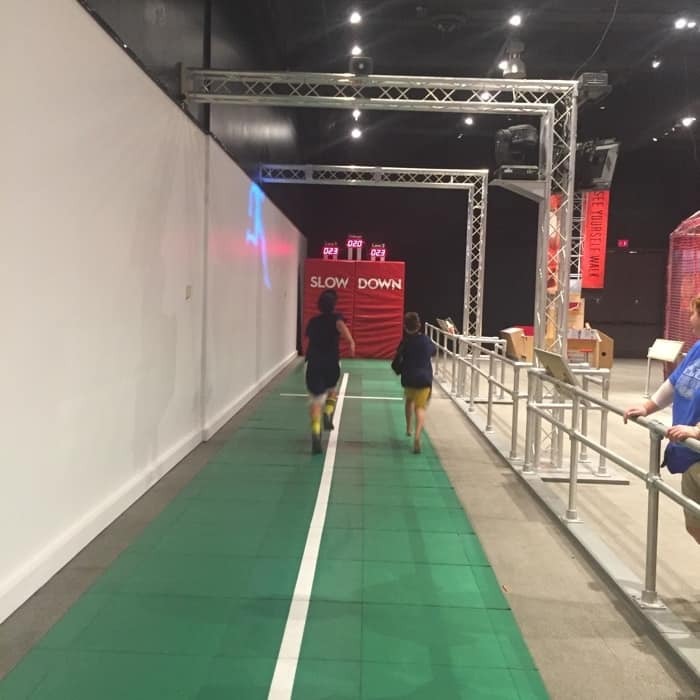 This exhibit makes competition fun; especially when you get to show your kid that you can still beat them even though they are younger and generally faster than you. 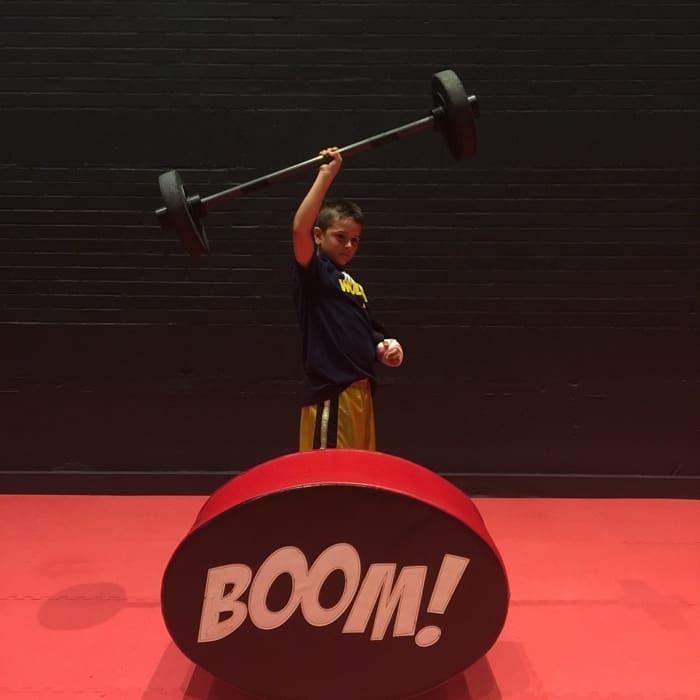 Kids will love showing their strength with the weight sets. Make sure that you also stop by the Science Demo area. 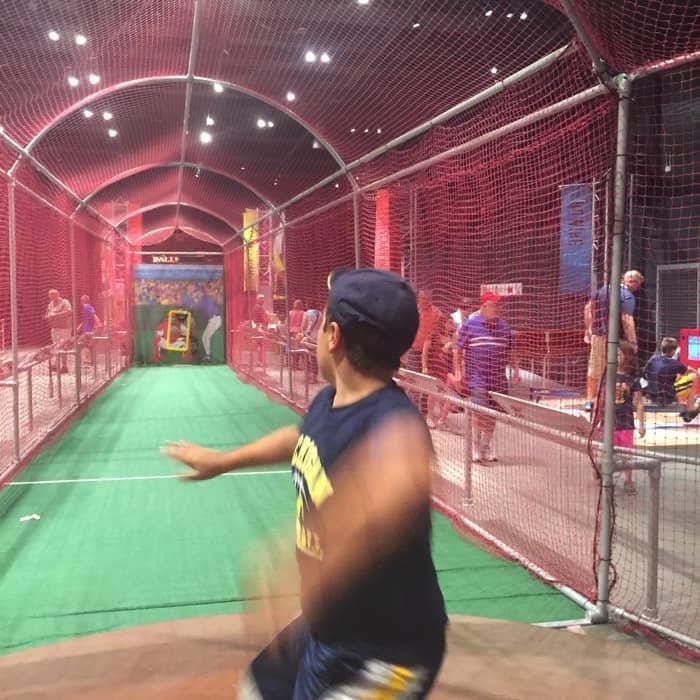 My kids still remember some of the science experiments from the demo which included using their other senses while trying to catch a ball with their eyes closed. 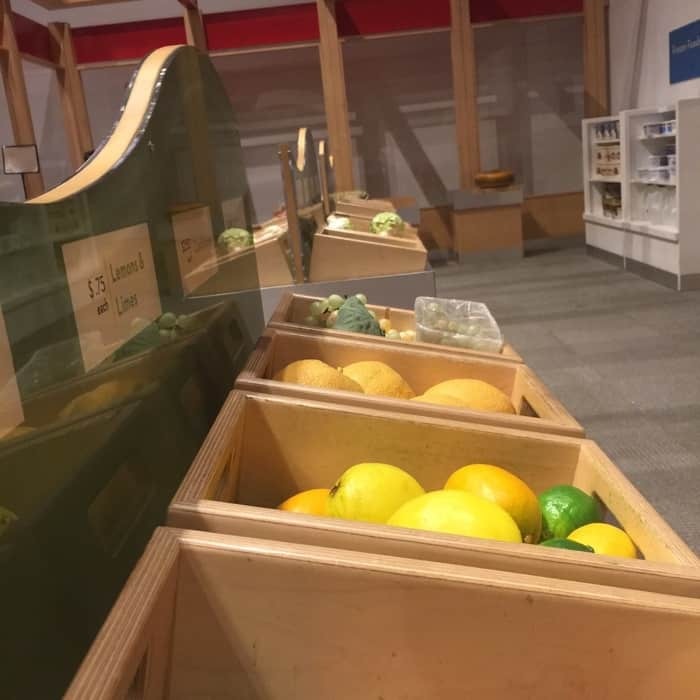 The exhibit also has an area where kids can learn about healthy eating in the pretend grocery store. 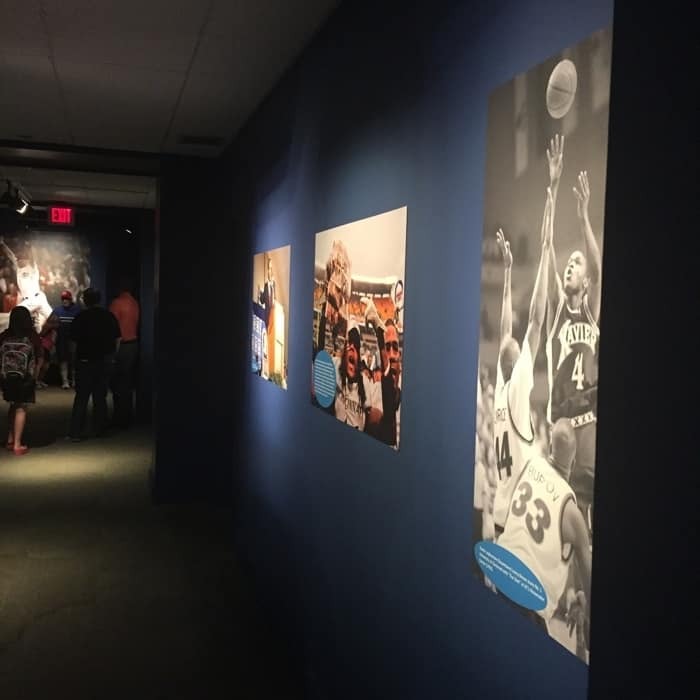 Don’t forget to observe the photographs in the hallway leading to and from the exhibit that showcase sports figures with ties to the Cincinnati area. 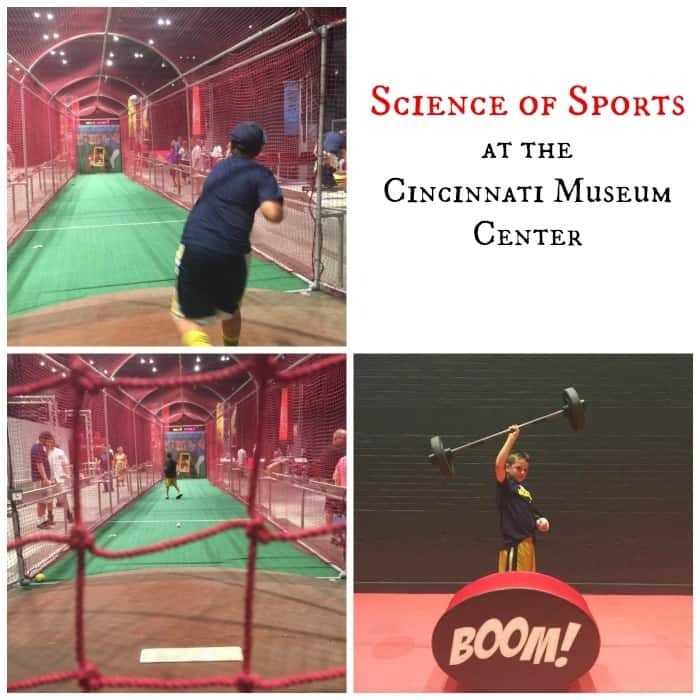 *Admission to Science of Sports is included with a Museum Center Membership or an All Museums Pass. 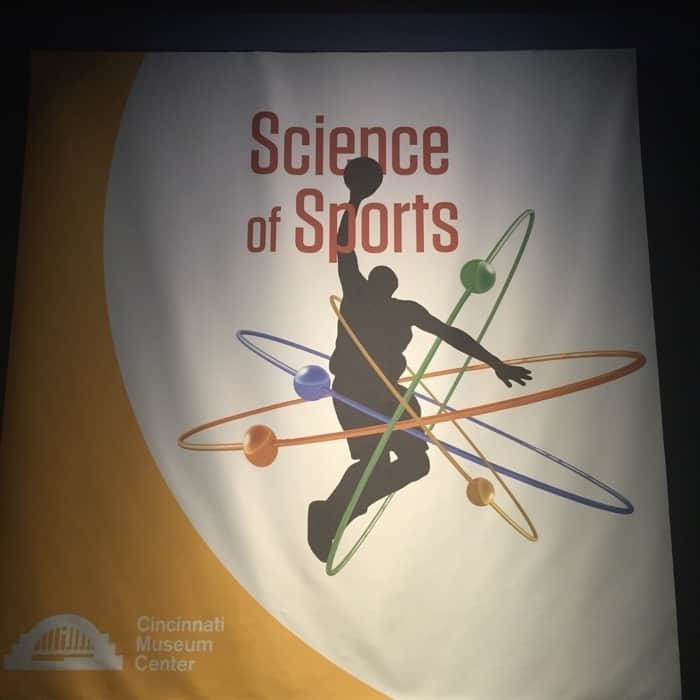 You can find out more about the Science of Sports Exhibit from the Cincinnati Museum website. 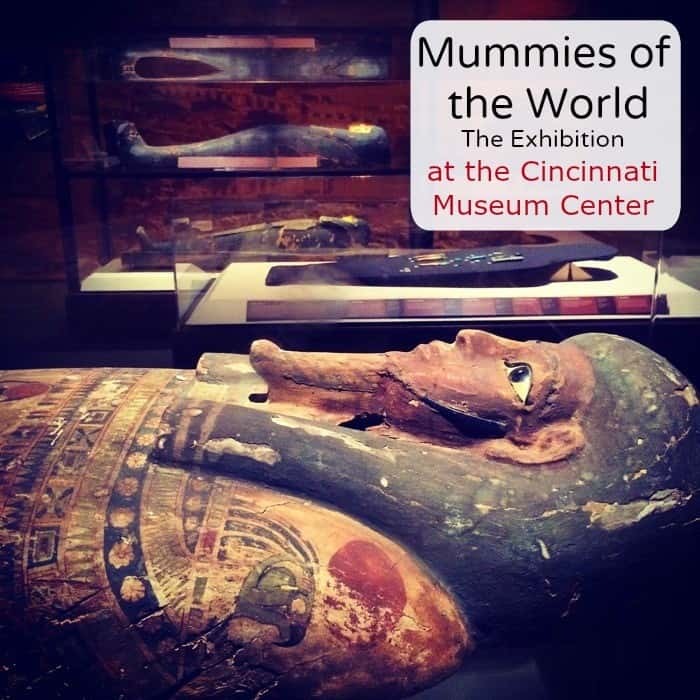 The Cincinnati Museum Center is located at 1301 Western Avenue, Cincinnati, OH 45203. 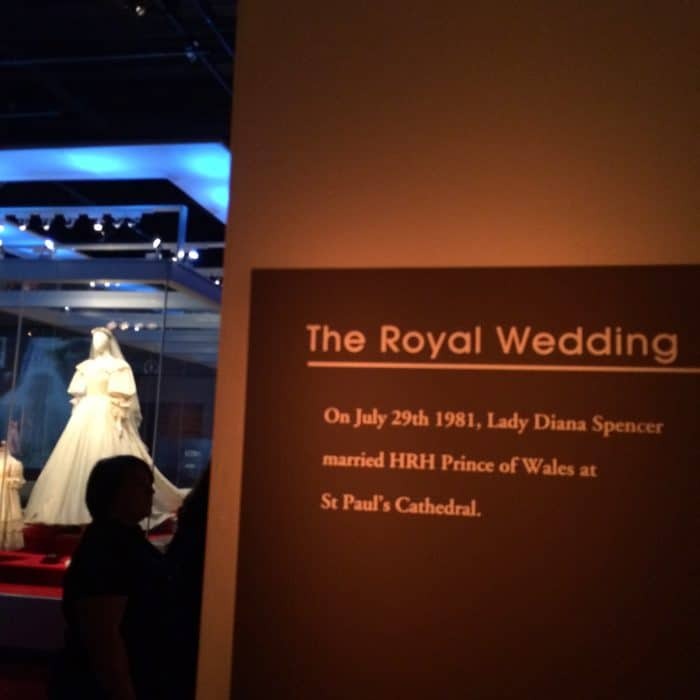 Disclosure: I was received complimentary admission for review purposes. All opinions are my own. 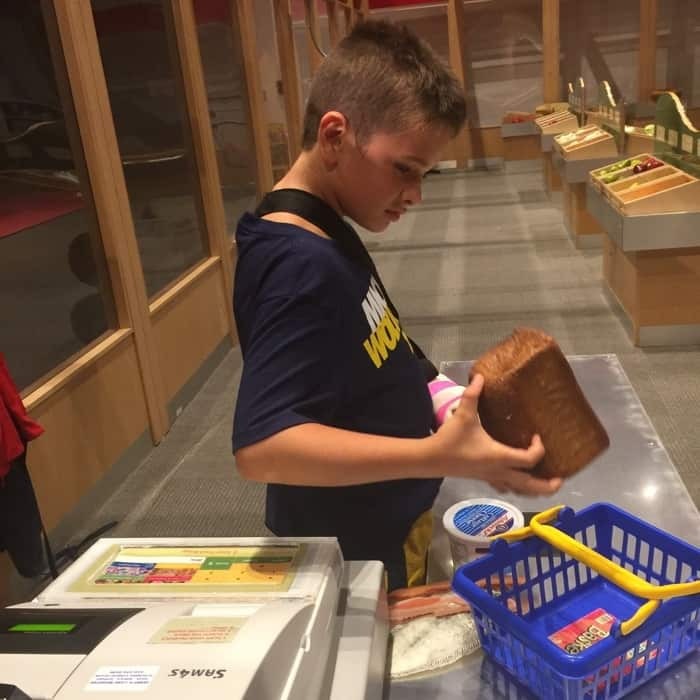 I’ve wanted to take my boys for an overnight at the museum for a few years. 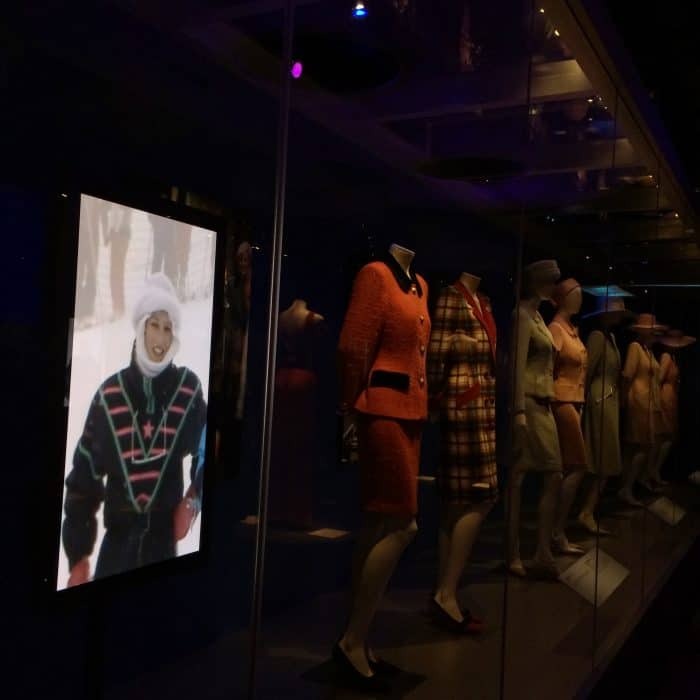 The movie “A Night at the Museum” made that desire even stronger. 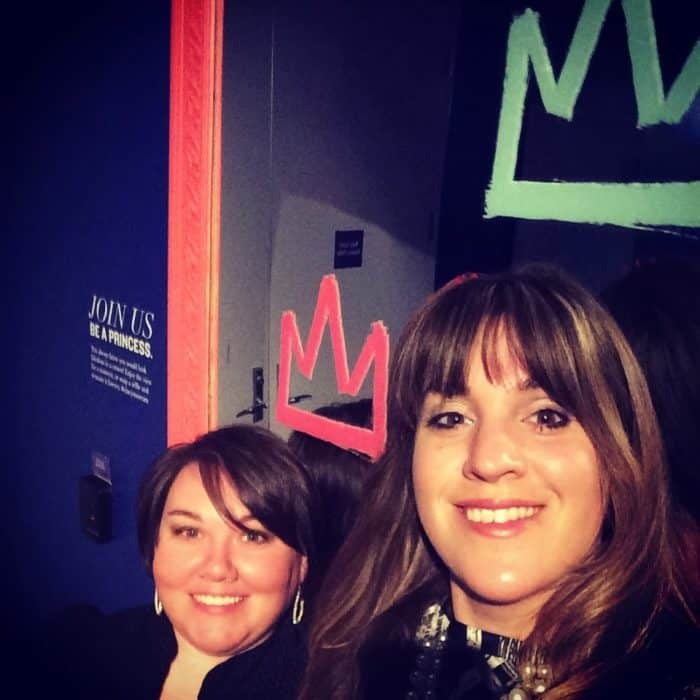 I previewed the Mummies Exhibit with my friend Jamie. 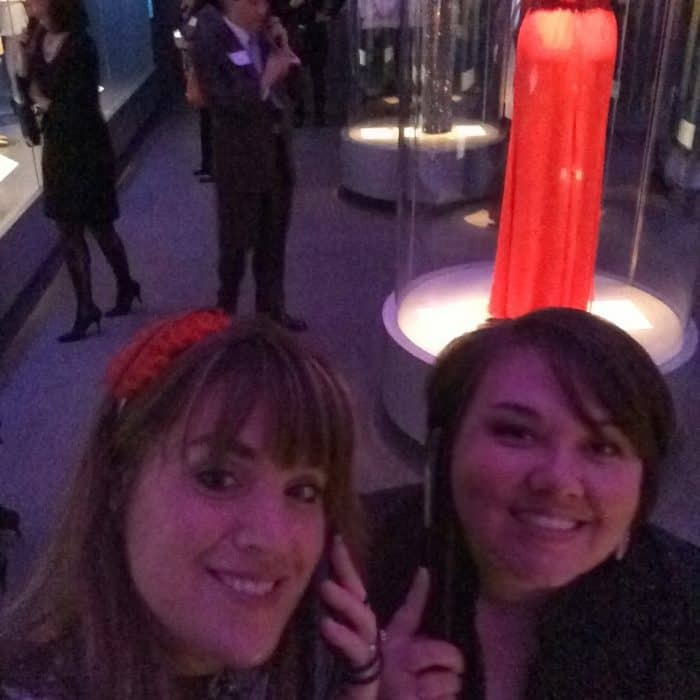 She loves history and we both were interested in learning more about this new rare exhibit. 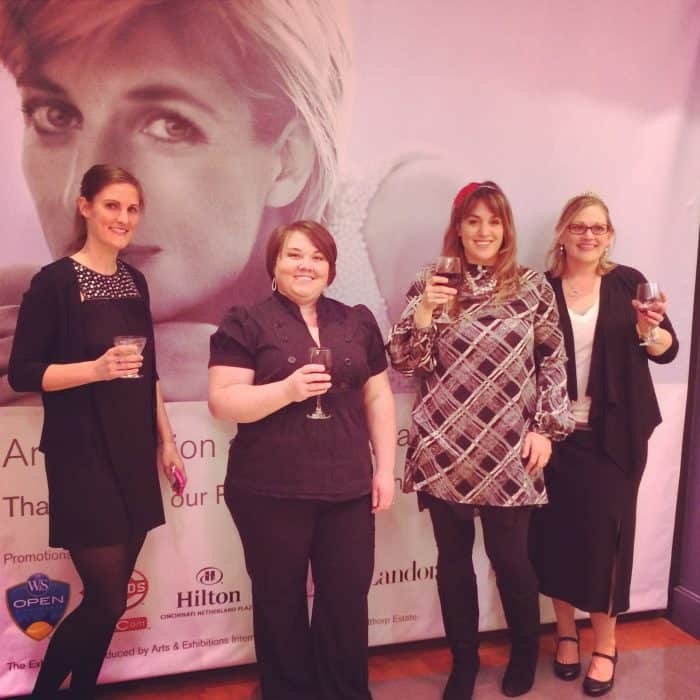 We were given special permission to take pictures for promotional purposes. 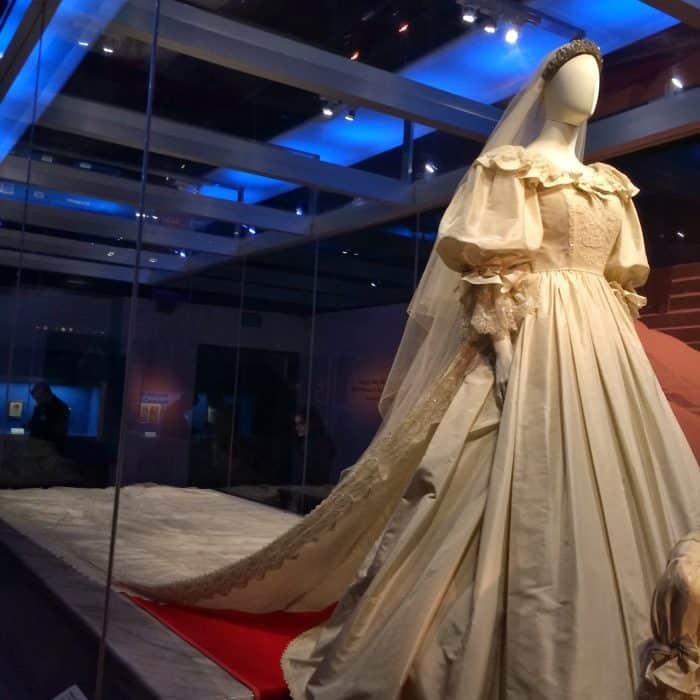 If you love history, make sure that you check out the newest exhibit at the Cincinnati Museum Center. 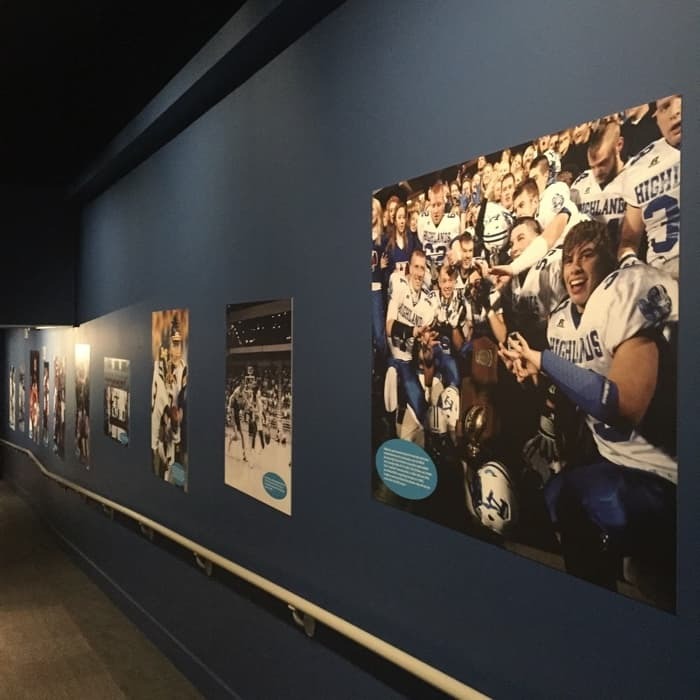 It’s a collection of 50 years of history. 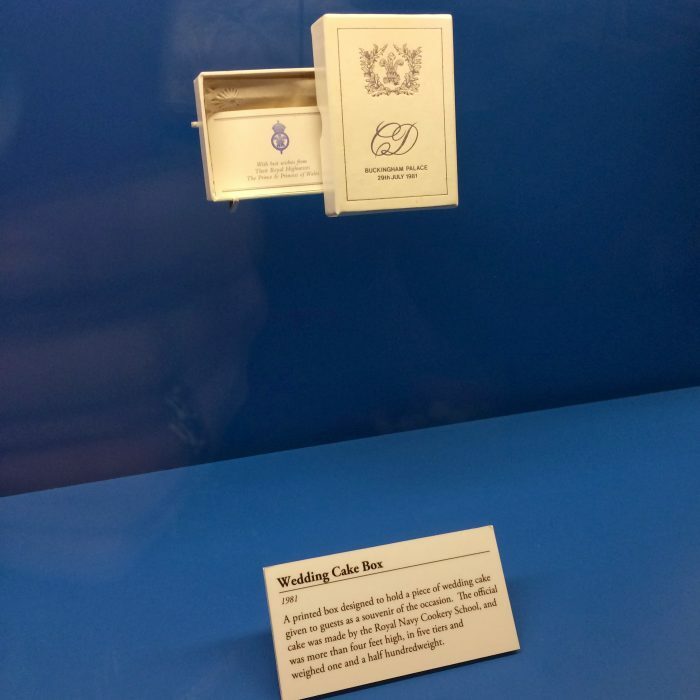 I love that I discover something new every time I visit the Cincinnati Museum Center. 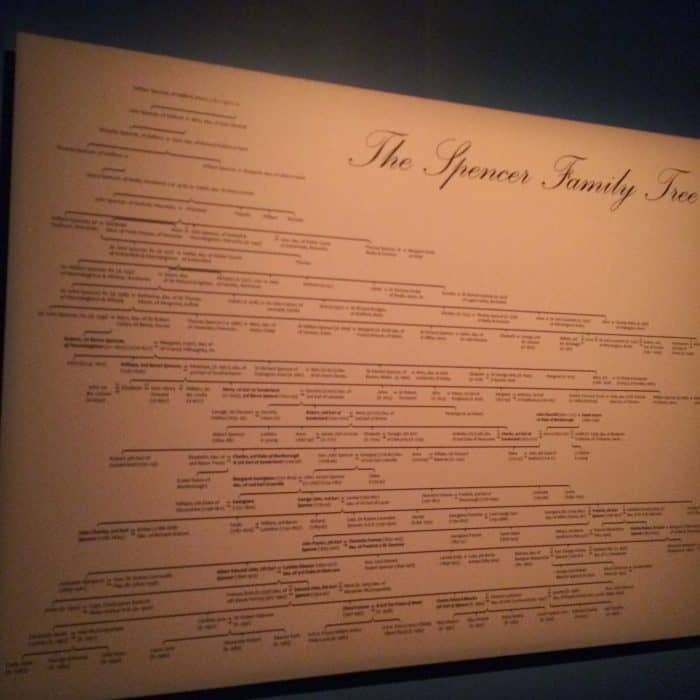 I find learning about the history of Cincinnati neighborhoods and buildings fascinating. 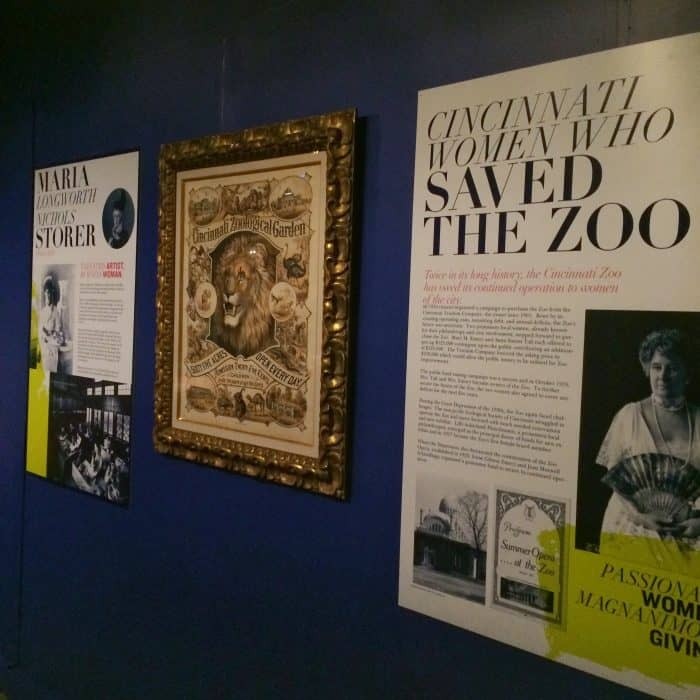 The exhibit honoring Cincinnati Preservation’s 50th anniversary is now open at Cincinnati Museum Center! 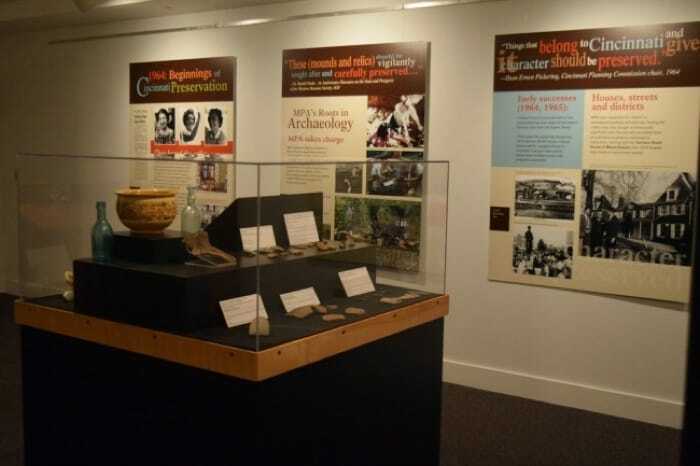 It highlights CPA’s story from its founding by three women determined to save Native American and early settlement sites to saving individual buildings and reviving entire neighborhoods. 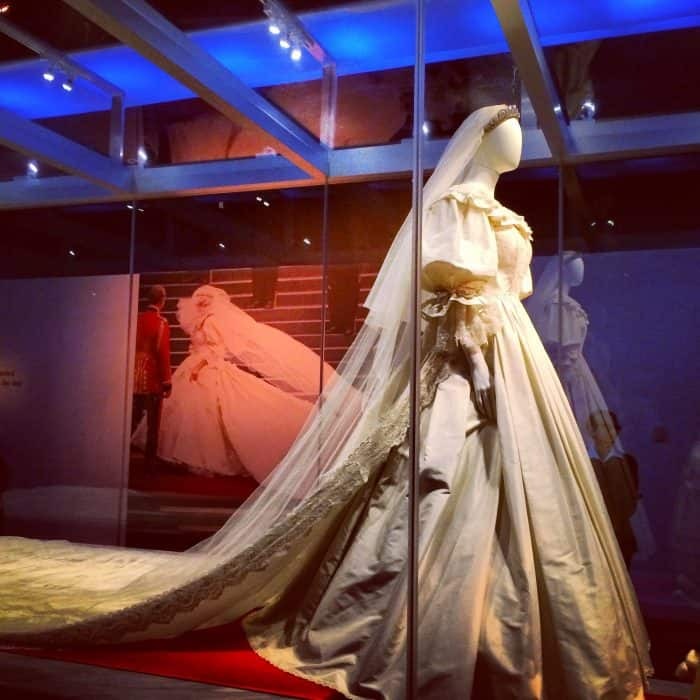 50 years of work comes to life through building models, blueprints, artifacts and more. 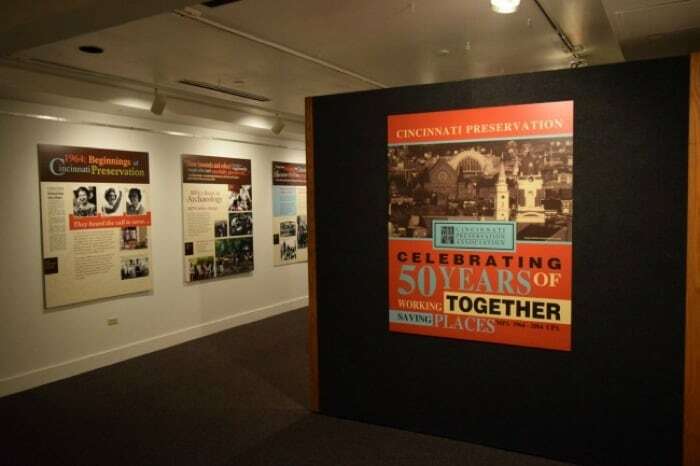 “Celebrating 50 Years of Working Together Saving Places” is located in the Culture Gallery of Cincinnati Museum Center. 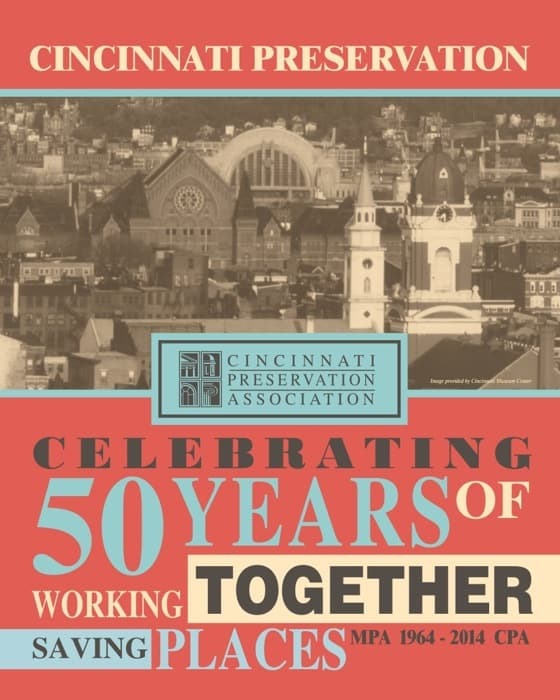 Fifty years ago a group of Cincinnati citizens recognized that we were losing our historic sites and buildings at an alarming rate. One highly significant archeological site at Shawnee Lookout faced an immediate threat from a proposed transmission line at a nearby power plant. To address this crisis they organized the Miami Purchase Association for Historic Preservation (MPA) in 1964. 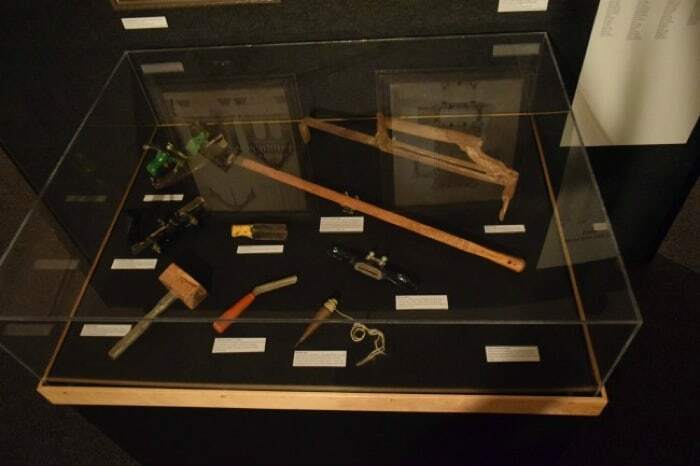 While working to save Shawnee Lookout they also began to educate themselves and the community about the other treasures in the region. 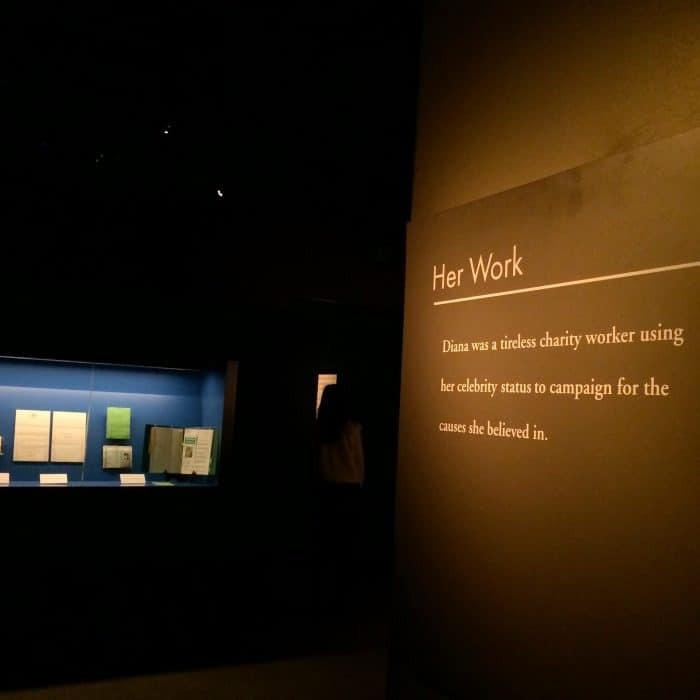 This exhibit represents the individuals who led preservation efforts, the buildings they saved, and sadly, the many that have been lost. 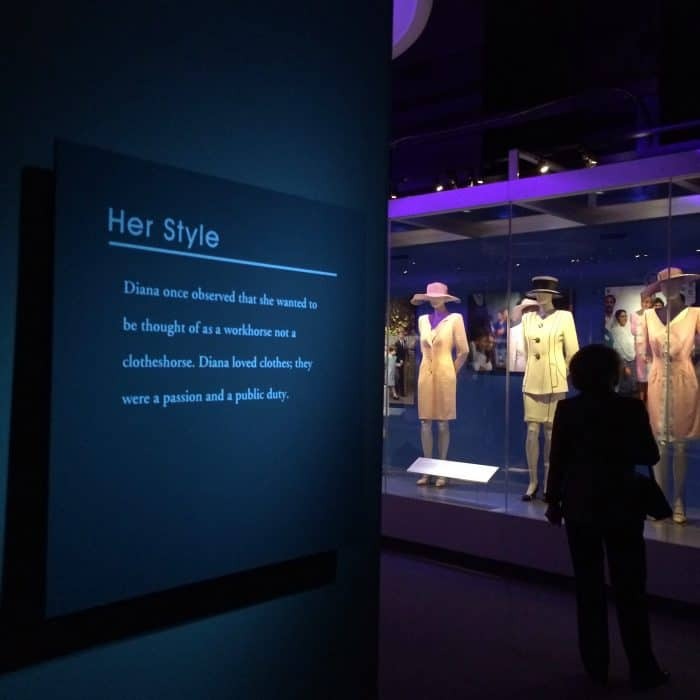 It also highlights the evolution of the preservation movement from its early focus on individual buildings to its current role in reviving entire neighborhoods. The founders of MPA had to work hard to convince people of the value of the historic buildings. Today historic preservation is more widely appreciated and has become a central part of city planning. Cincinnati’s current urban renaissance is fueled in large part by redeveloping its historic resources. 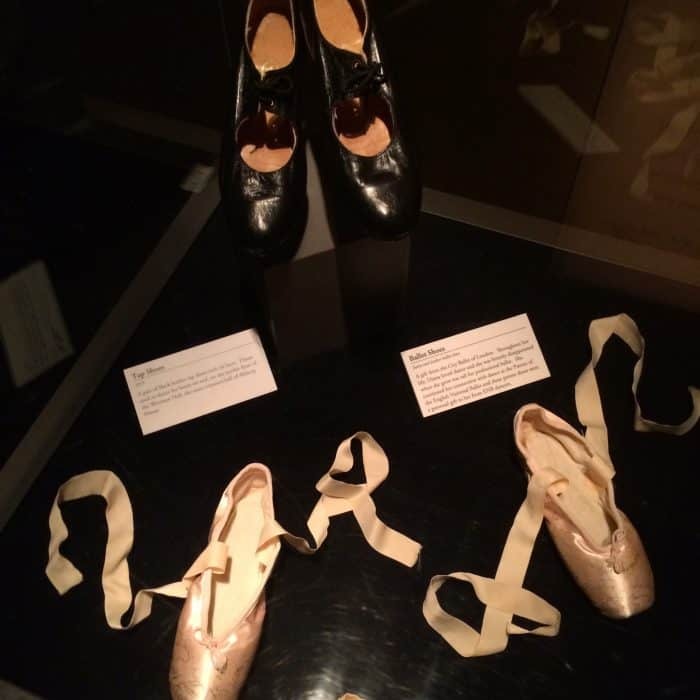 Admission to the exhibit, which runs through April 5, 2015, is free. 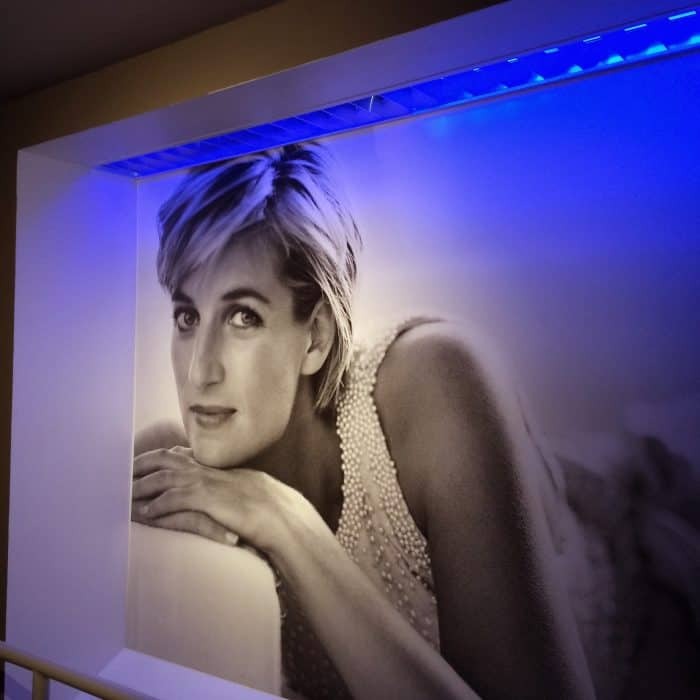 Sunday 11 AM – 6 PM. 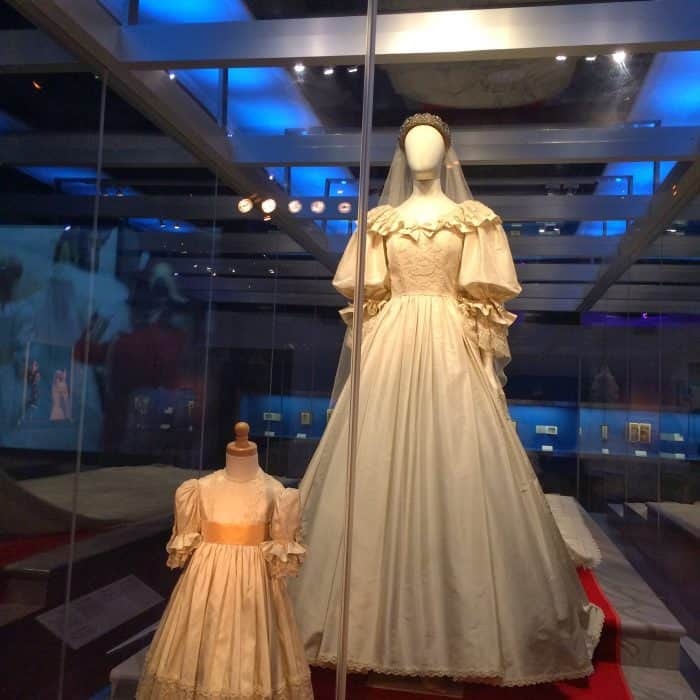 Cincinnati Preservation Association is pleased to be hosting a grand opening dinner and party at the newly renovated Marriott Renaissance Downtown Hotel. 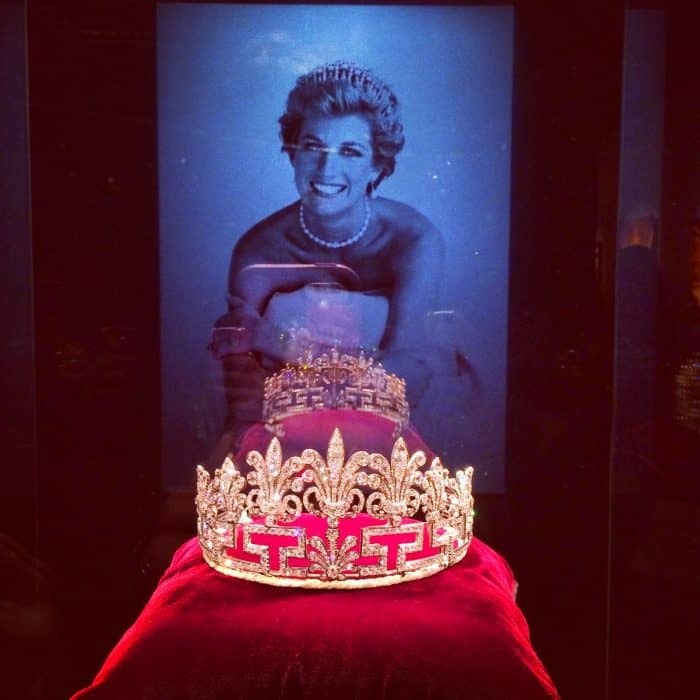 This exciting event will be held on Saturday, November 8, 2014 beginning with cocktails at 6:00 pm. A gourmet dinner will follow at 7:30 PM. 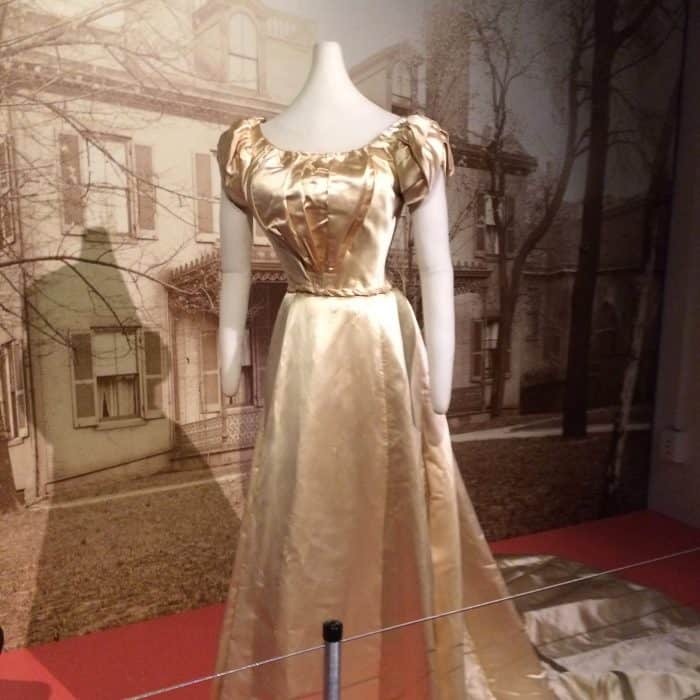 The widespread enthusiasm for Cincinnati’s unique historic fabric is fueling new development and drawing people to the city. It did not happen overnight, however, in fact Cincinnati Preservation has been working to save and revitalize our landmarks for 50 years. To commemorate this 50th anniversary of our founding we are celebrating with dinner and party at the newly restored Marriott Renaissance Cincinnati Downtown. We will be celebrating the opening of this beautiful hotel in the former Union Trust Company building, at the corner of Fourth and Walnut Streets. 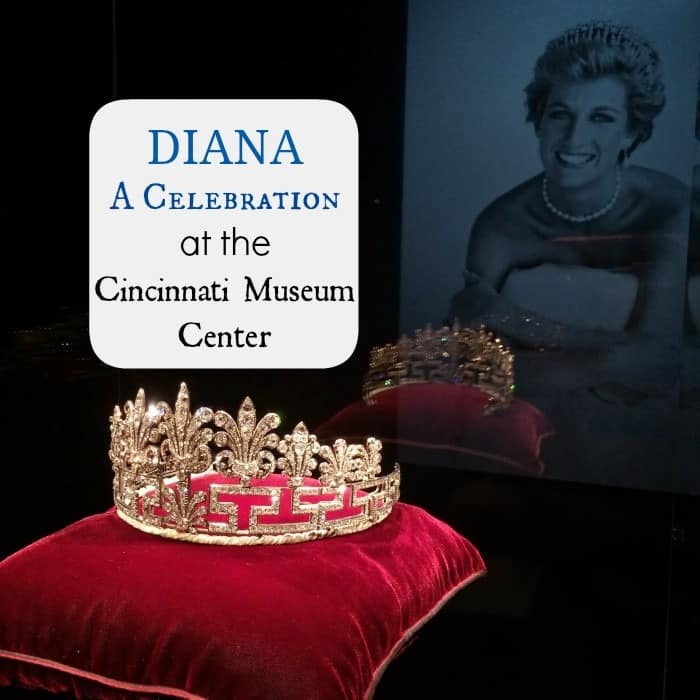 This is a major success story for Cincinnati, and we are delighted to celebrate our 50th anniversary in such high style. You can find out more from the following websites. 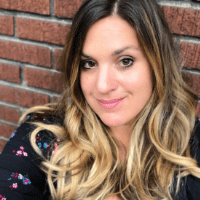 Disclosure: I was compensated to help share get the word out about this information. All opinions are my own. 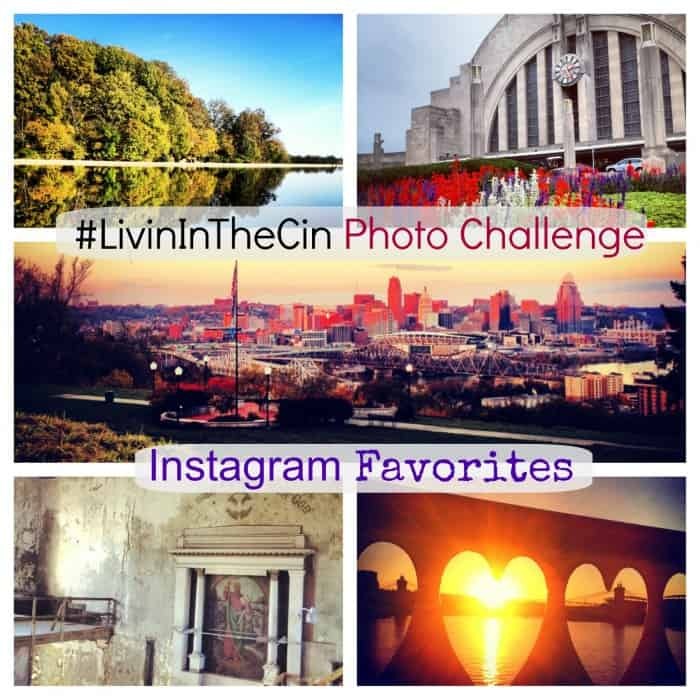 A few weeks ago I was invited to attend a behind the scenes tour to with other Cincinnati instagramers. 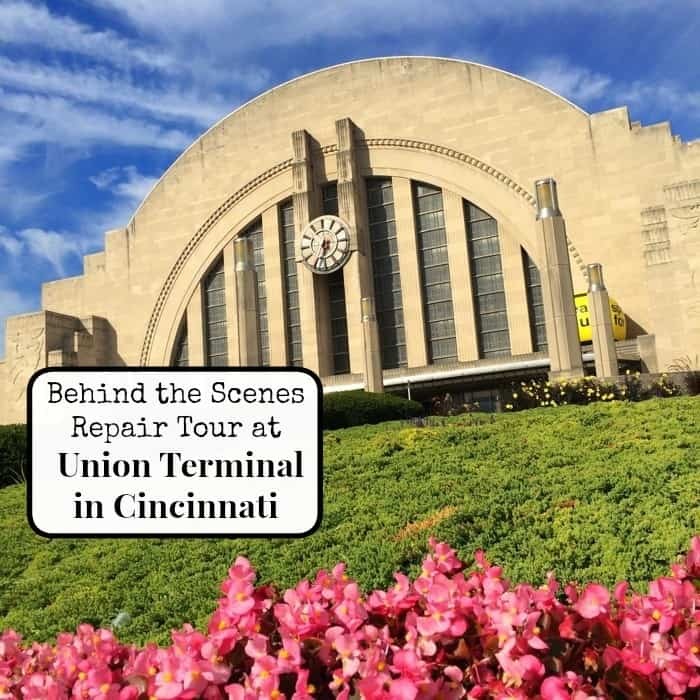 The purpose of the tour was to show us how Union Terminal is deteriorating and why it’s so important to save this icon of our city. This building is absolutely gorgeous inside and out. 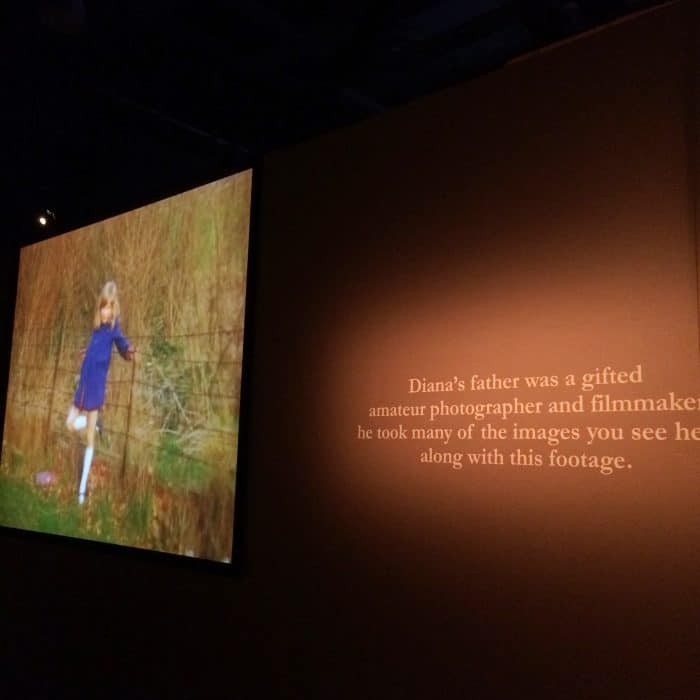 I recently got to attend the sold out premiere of the “Diana, A Celebration” exhibit at the Cincinnati Museum Center. 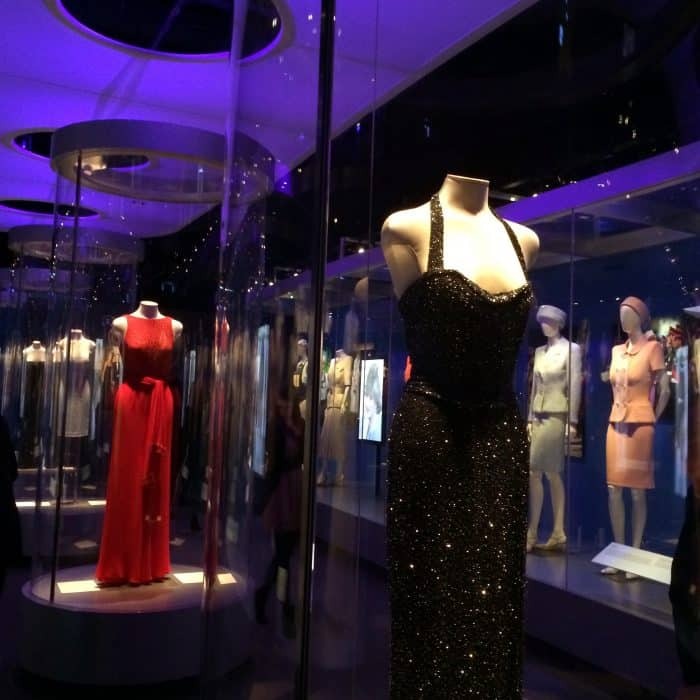 The Museum Center created an opening night in style complete with incredible food, red carpet entry and complimentary pictures. 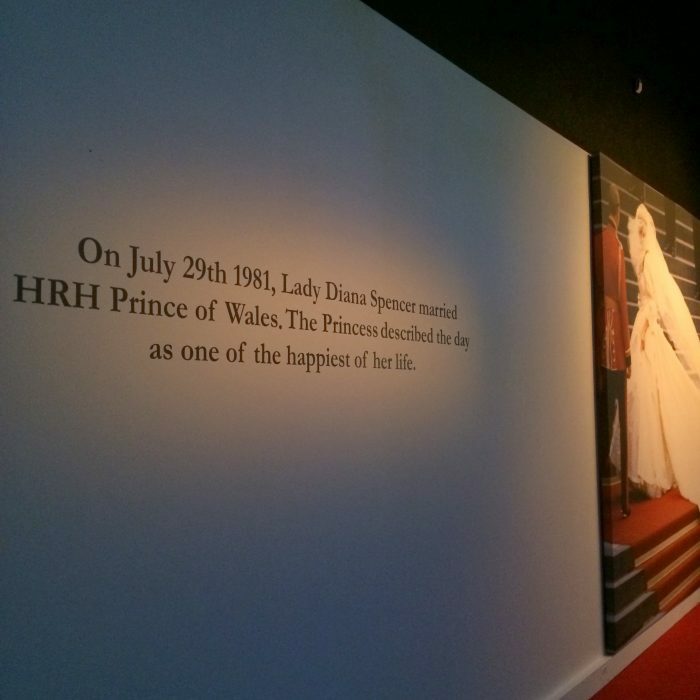 The Diana exhibit began with several quotes and pictures of her followed by her tiara. 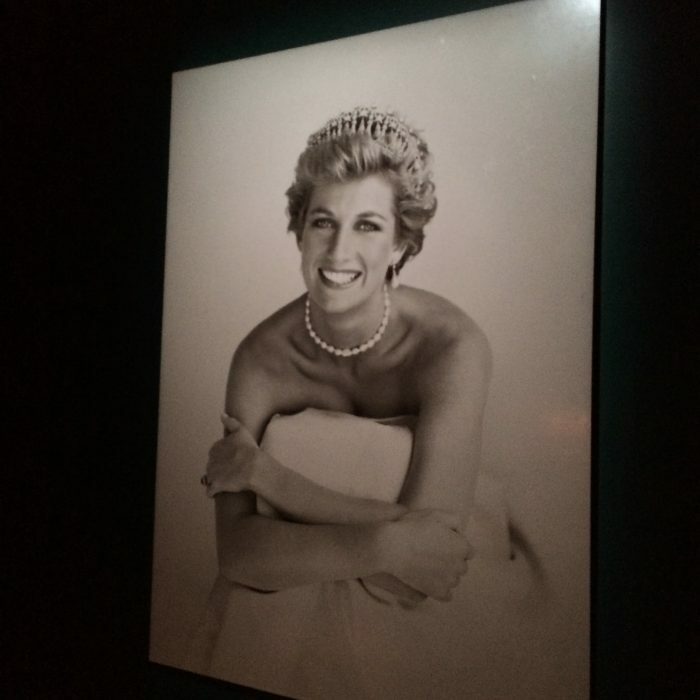 Princess Diana was well known for her beauty inside and out. This picture of her is so beautiful. 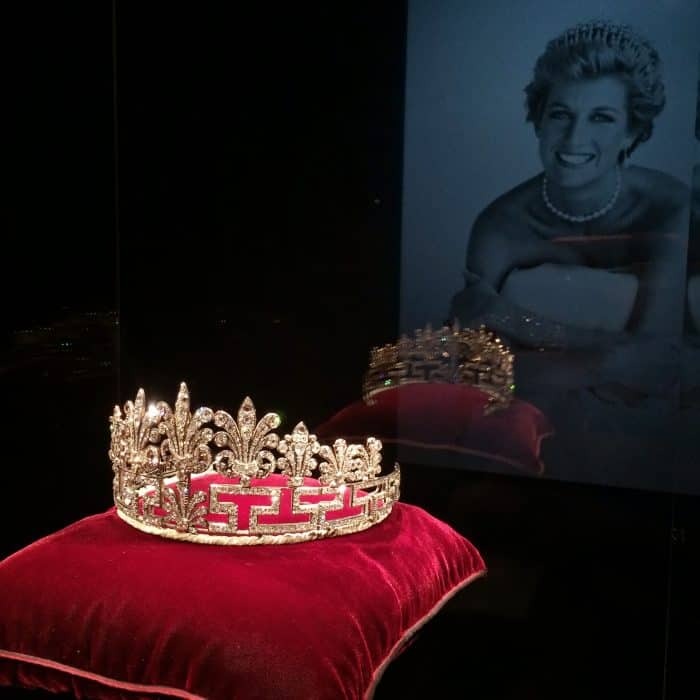 The tiara is pretty impressive too! 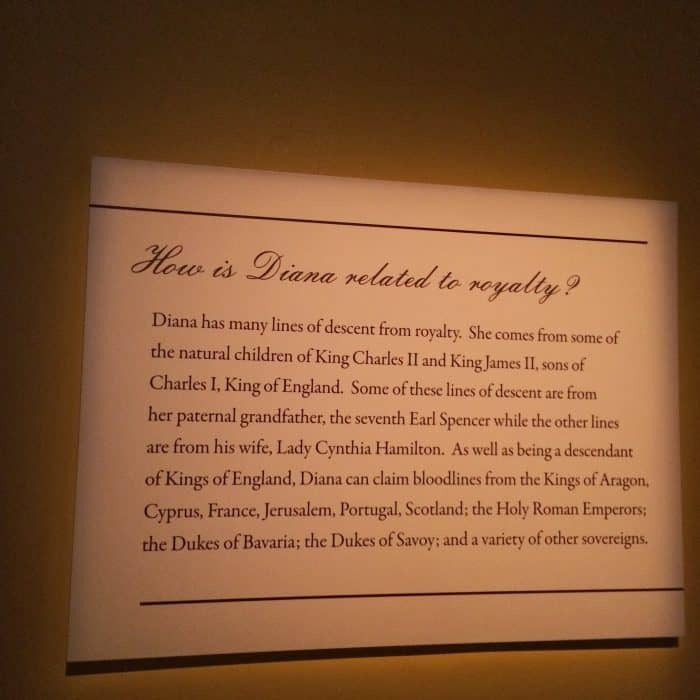 We learned of Diana’s lineage to the throne and history of her family. 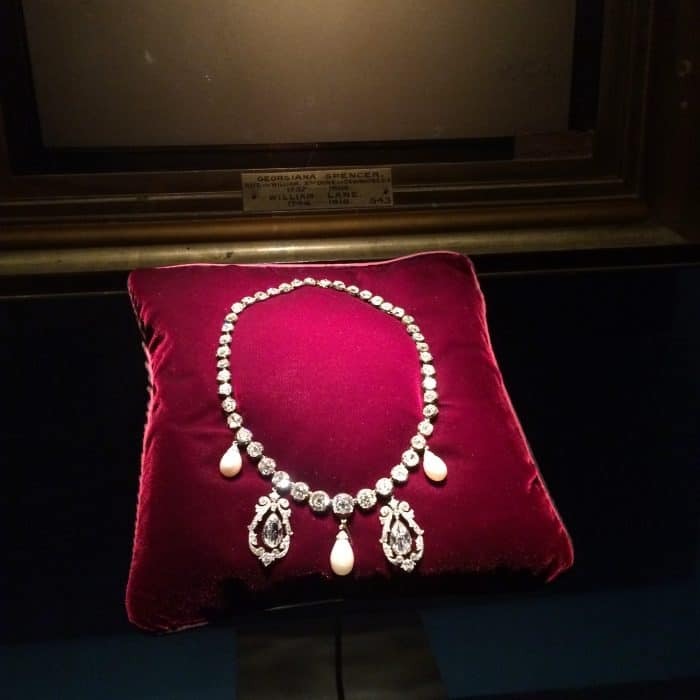 The family jewels are pretty stunning! 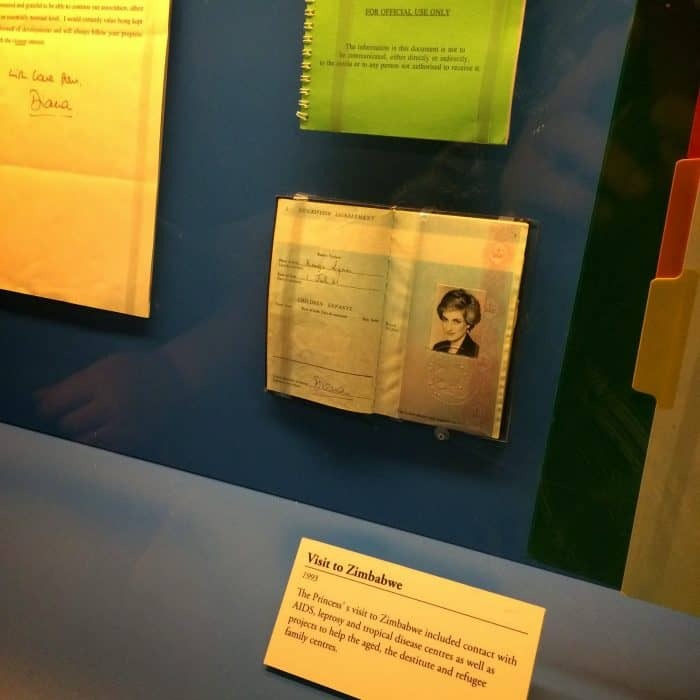 The exhibit gave you a sense of her early childhood with pictures, personal possessions and home movies. 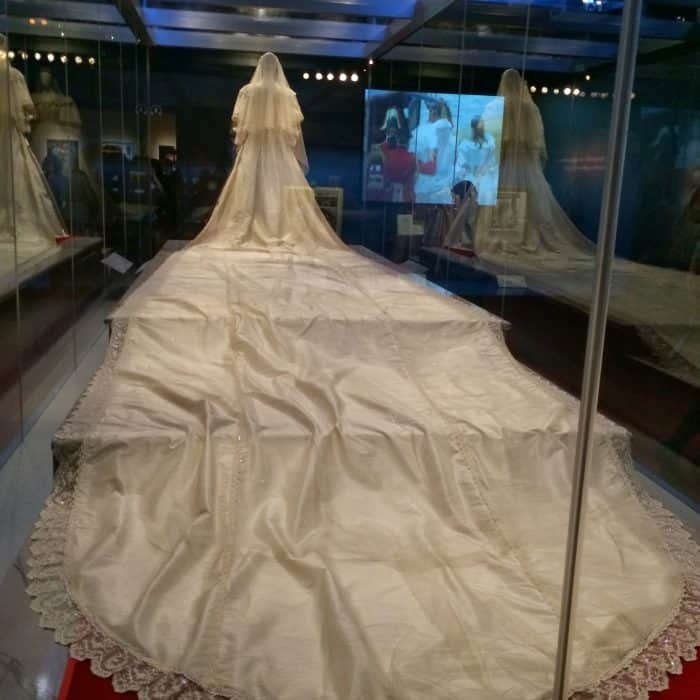 The exhibit also has Diana’s wedding dress! 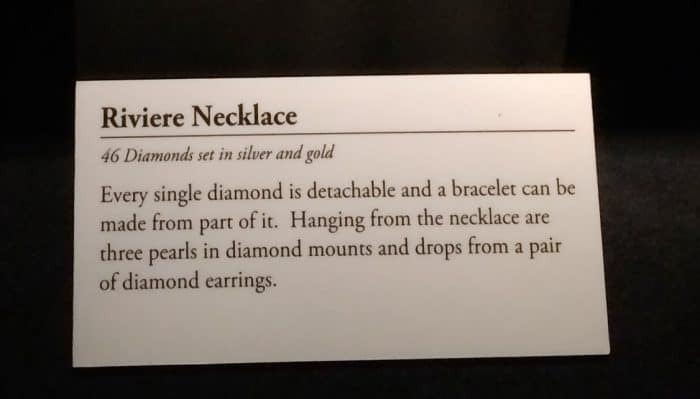 It was really interesting to take in all of the details up close. 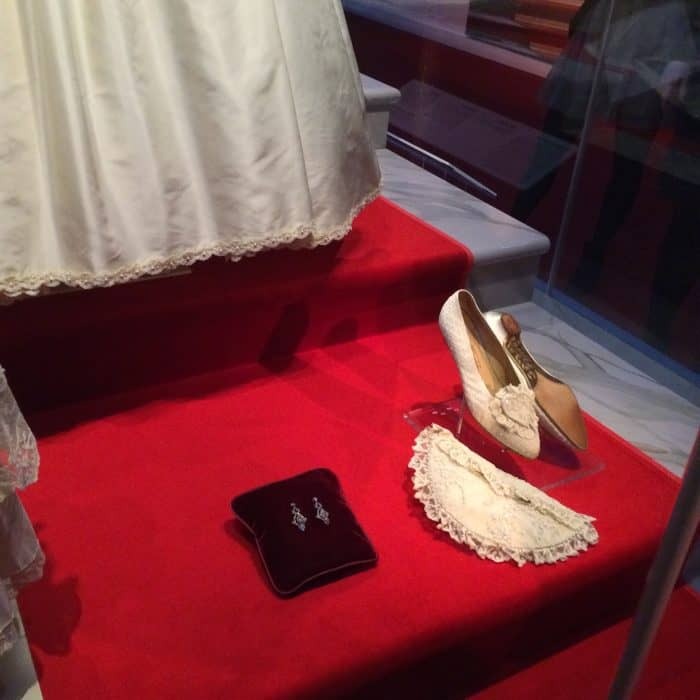 I’ve seen the footage of the wedding but it was different to see the elements of that day in person. 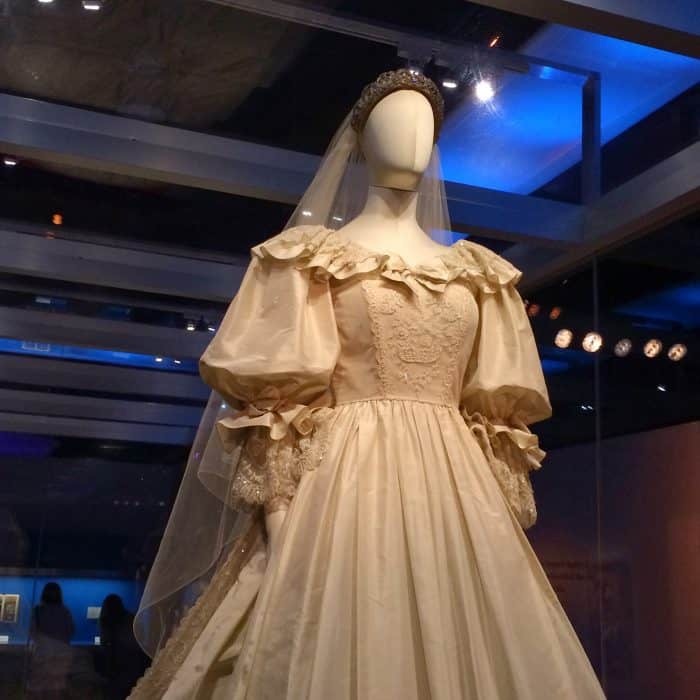 Her wedding was watched by over 1 billion television viewers in 1981! 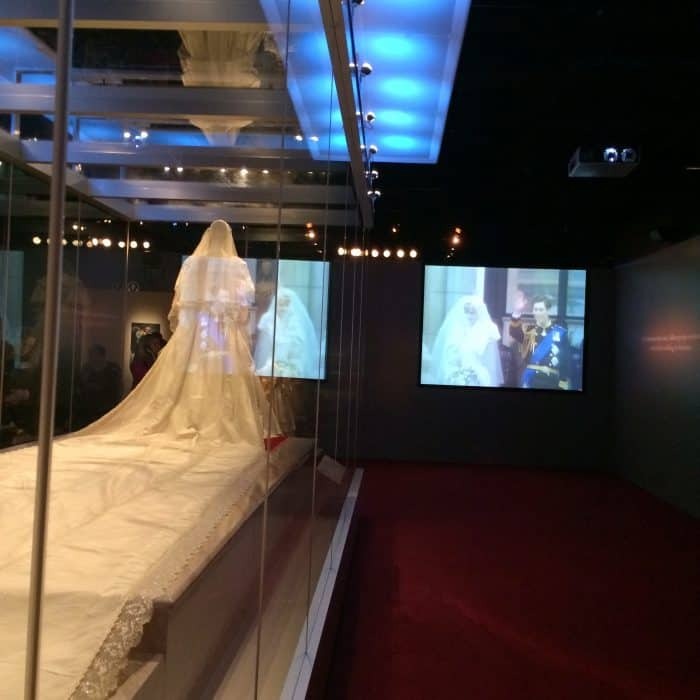 Diana’s wedding dress had a 25 foot silk train which is the longest in Royal history and was hand embroidered with more than 10,000 tiny mother of pearl sequins and pearls created by Elizabeth and David Emanuel. 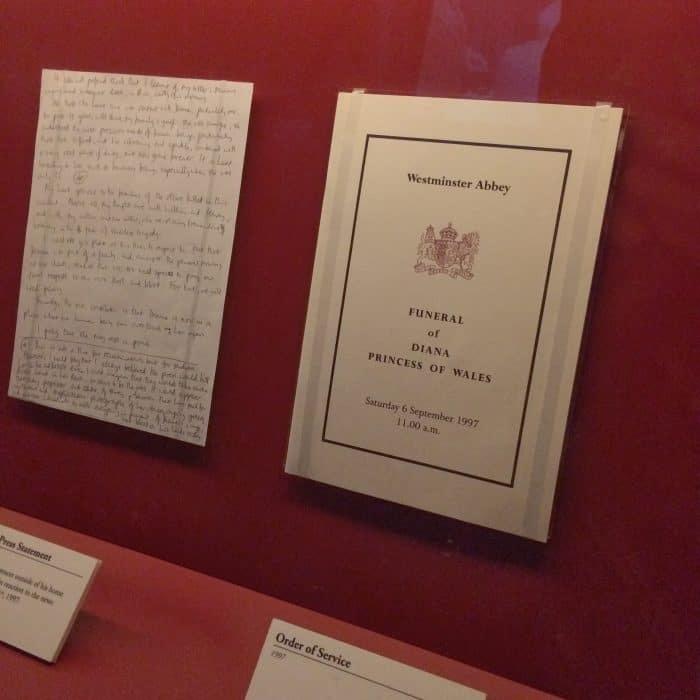 The exhibit showcases a lot of interesting mementoes from that day including hand written notes. 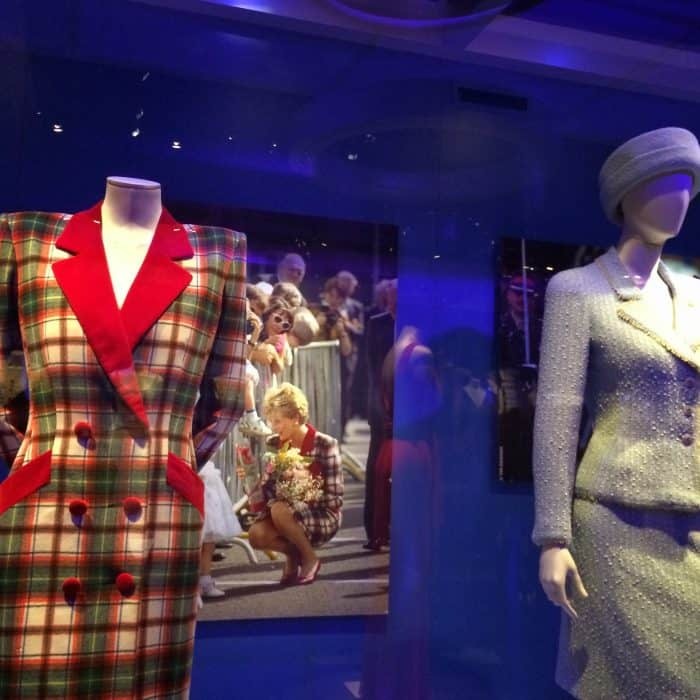 The Diana exhibit also highlights her public life and her fashion over the years with over 25 pieces. 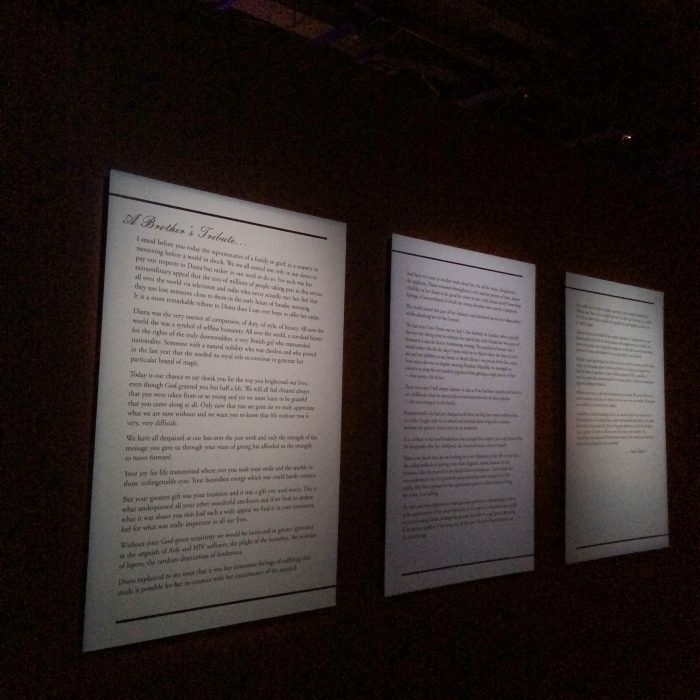 I absolutely LOVED this part of the exhibit. 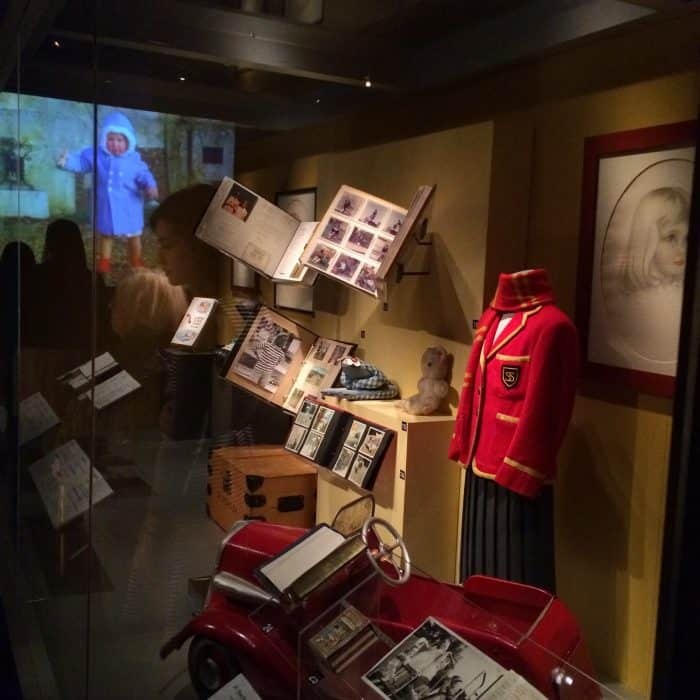 It felt like you were going back in history. 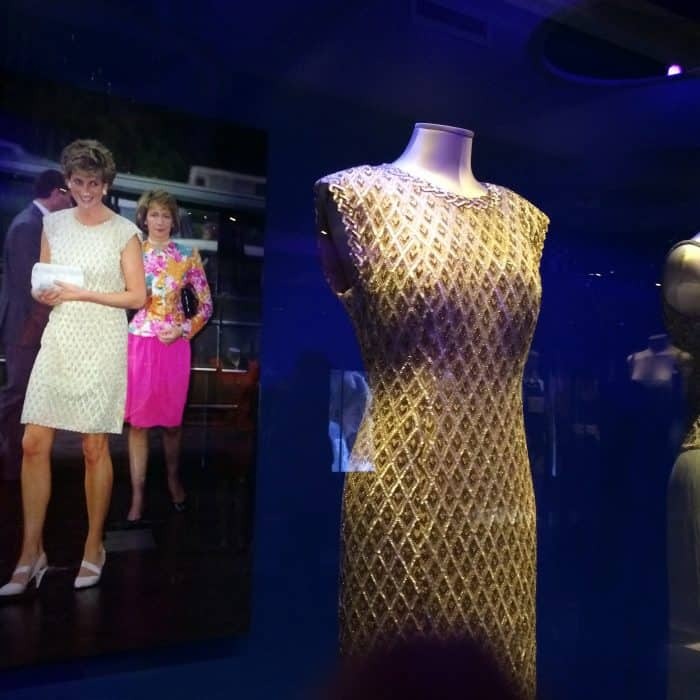 You could see how Diana’s fashion evolved over the years. 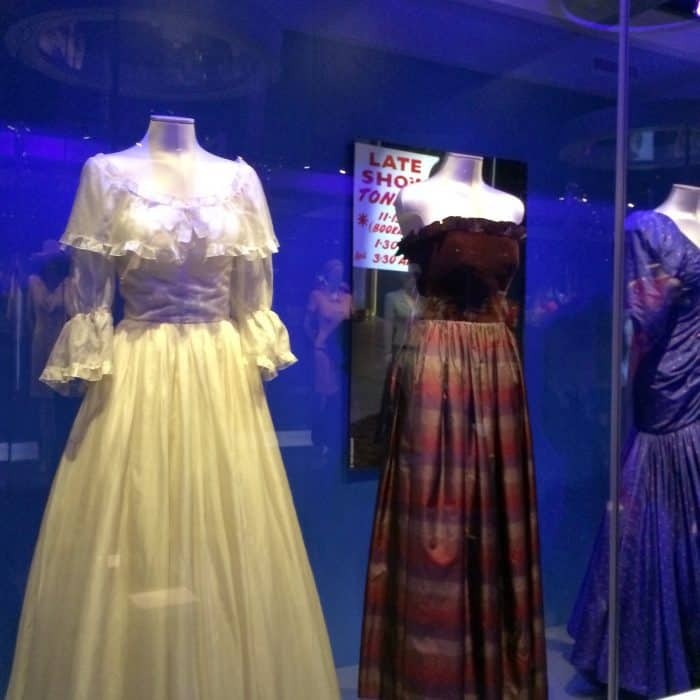 There are also images of her wearing several dresses and even some video footage. 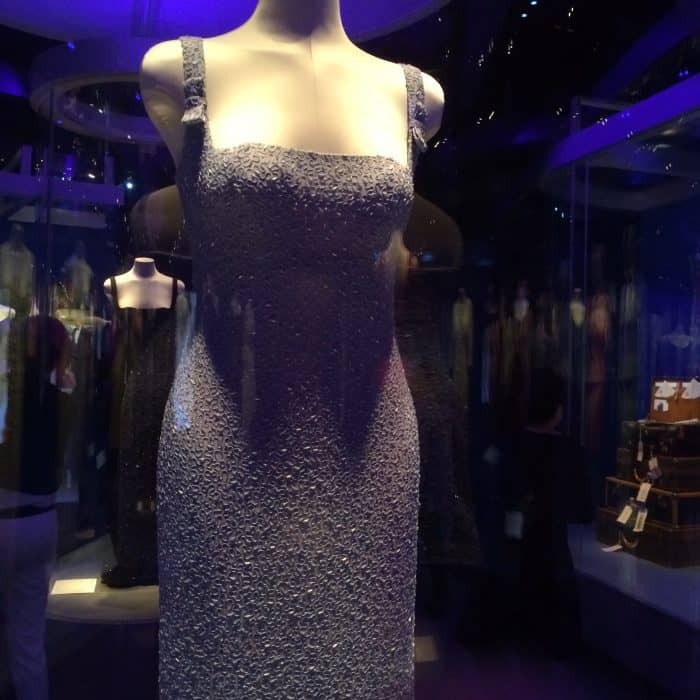 There was also an outfit that reflected her humanitarian side that was a huge part of who she was. 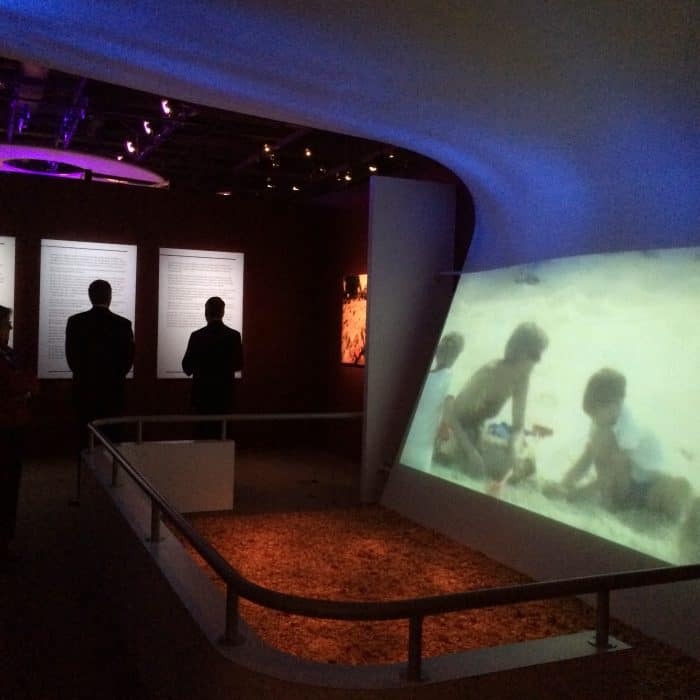 The exhibit has audio recordings that you can listen to along the way that give you extra insight into each piece. 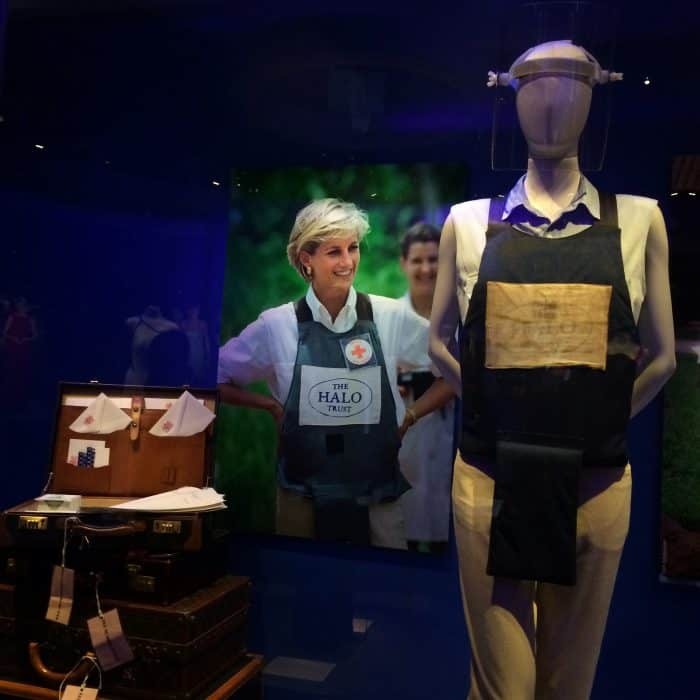 The Diana exhibit shows her heart and compassion for others. 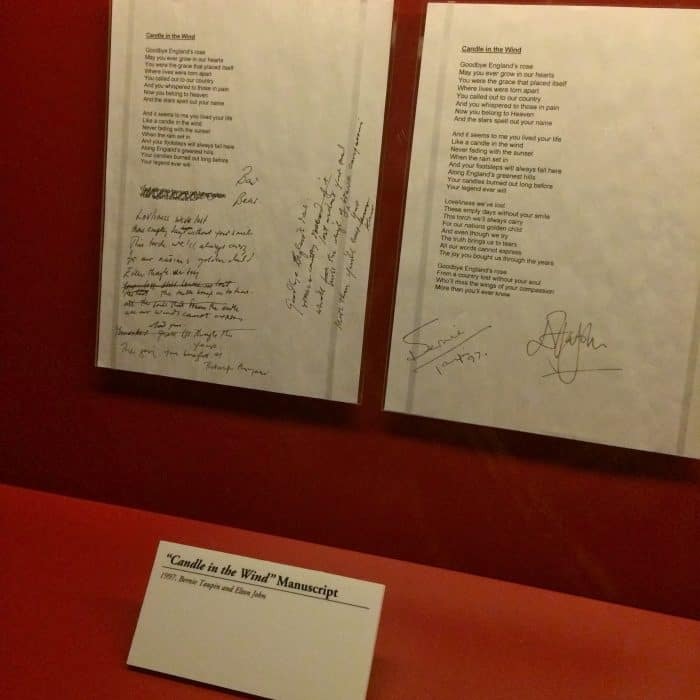 The exhibit also ends with the sobering reminder of her death with the kind words of her brother that were spoken and even lyrics from Sir Elton John’s song at her funeral. 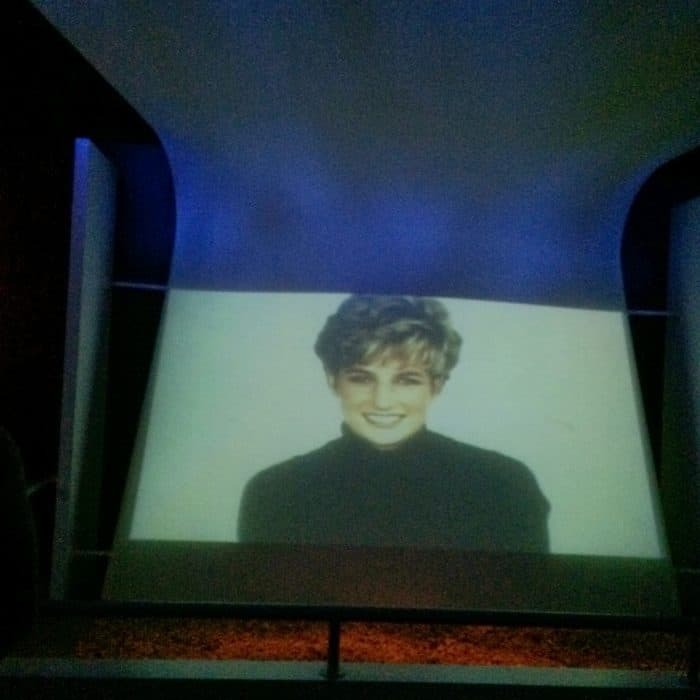 The video footage loops with beautiful clips that capture her beauty as a person. 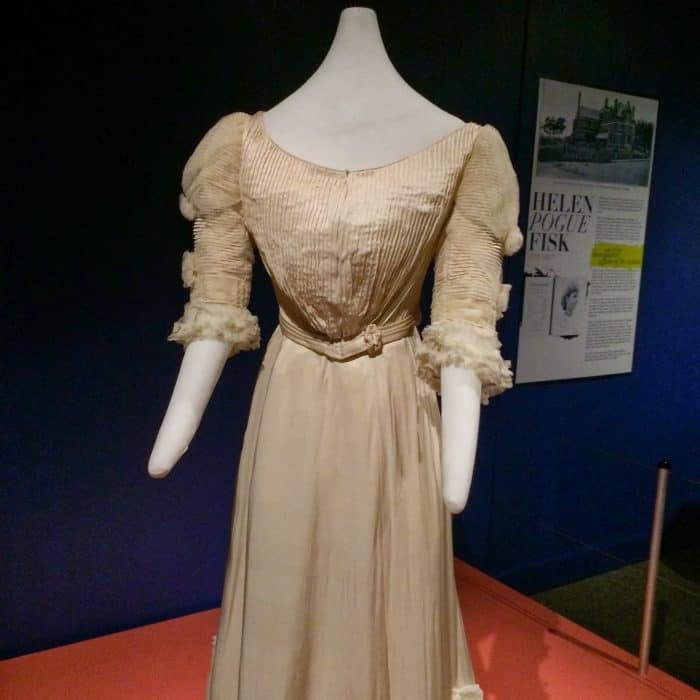 The Cincinnati Museum Center also showcase local woman who made philanthropic efforts in the Cincinnati area from the 1850s-1960s. 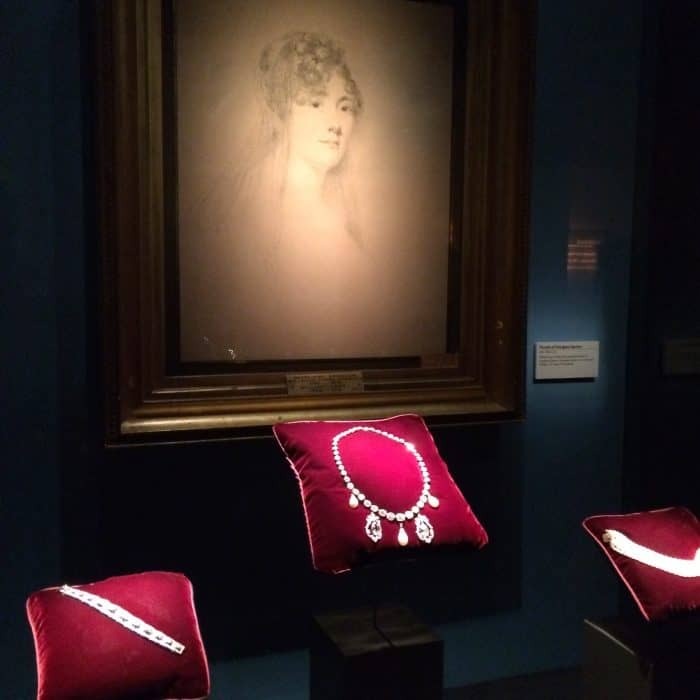 It was really interesting to read about women who had such an impact in our local area. 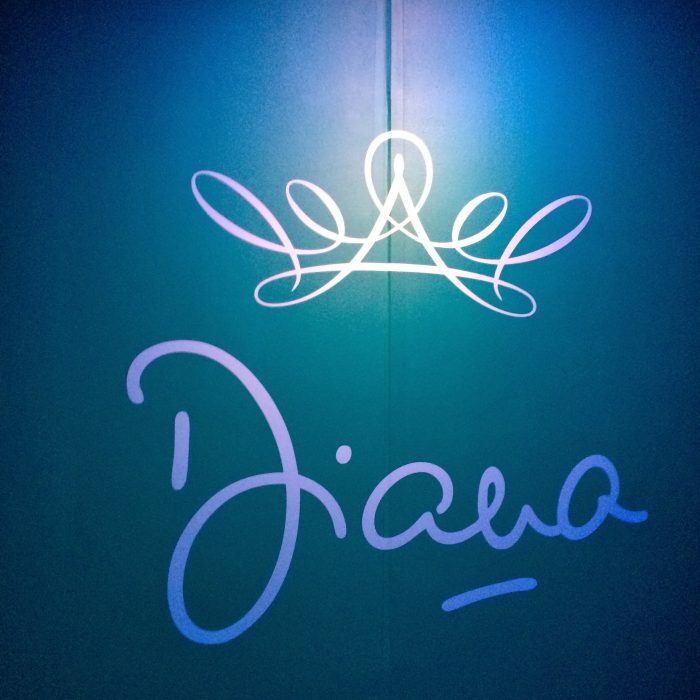 I absolutely LOVED the Diana, A Celebration Exhibit! 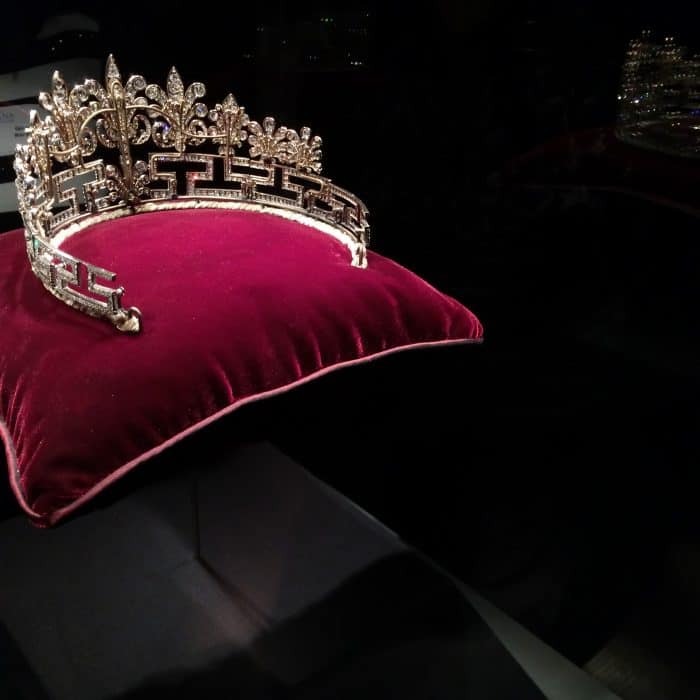 You can feel like a Princess too by taking a selfie with a crown. 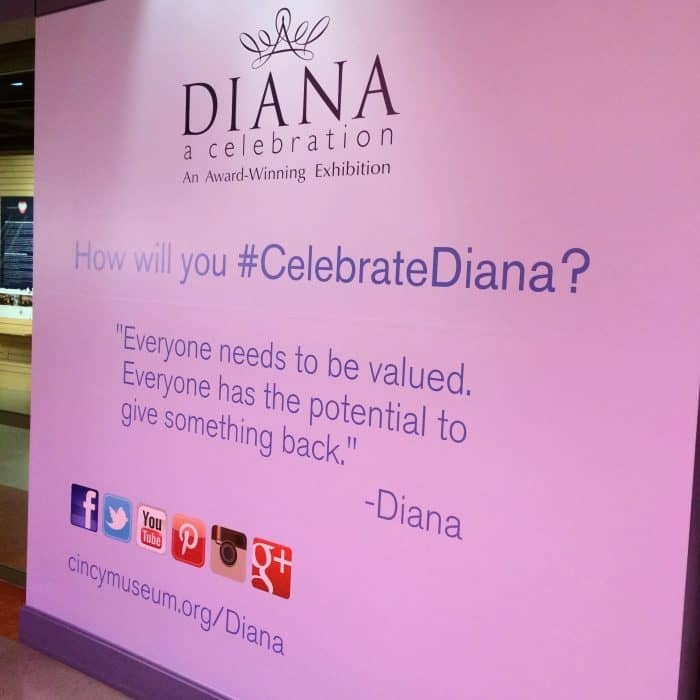 Don’t forget to share your “#celebratediana” experience on social media. 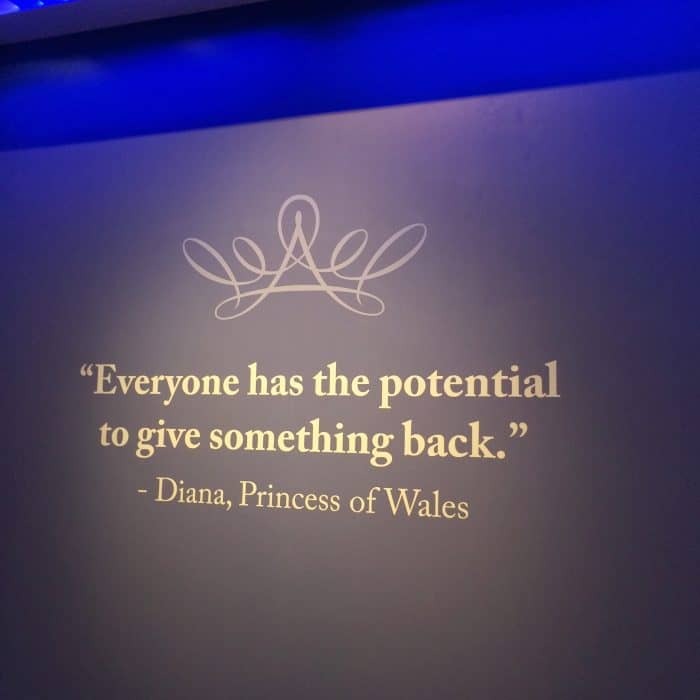 Princess Diana made such an impact on so many people’s lives and this exhibit gives you an even greater appreciation for her life, her love and her legacy. 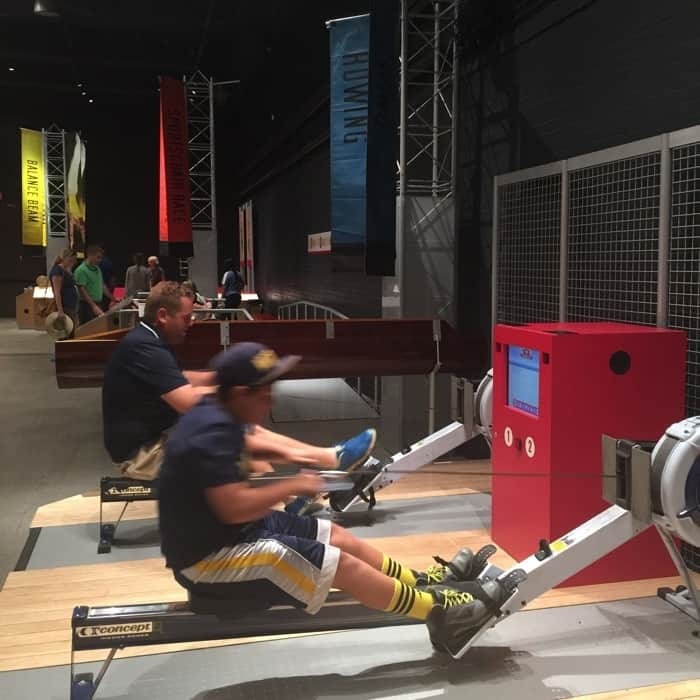 There will be a $1 increase for each admission from August 1-17. 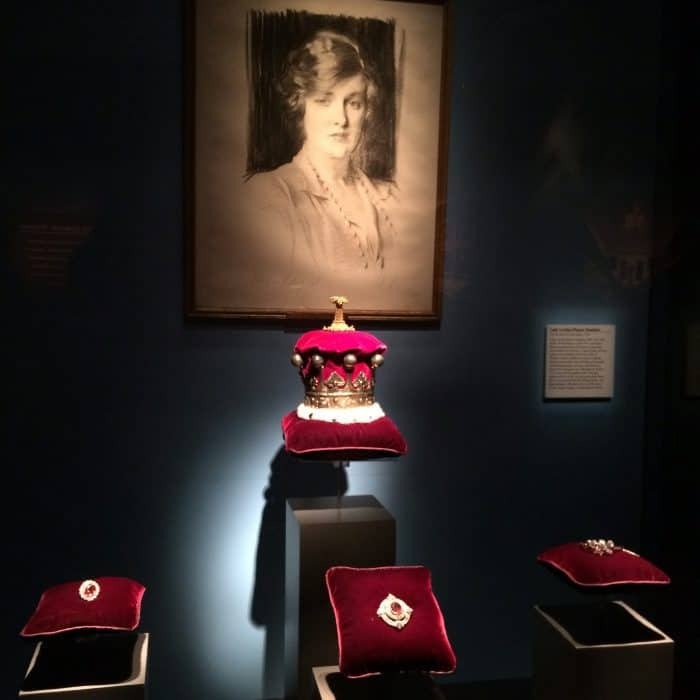 Cincinnati is the LAST city that the exhibition, that has been traveling since 2003, will be in before returning the items to her sons in London for future generations, so don’t miss it! 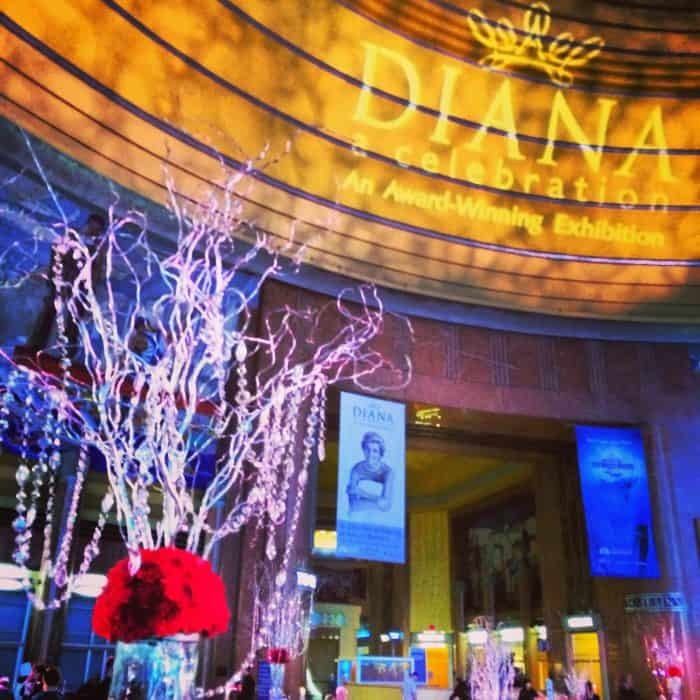 Make sure you check out the Cincinnati Museum Center website for upcoming events like “Diana:Toast of the Town” every Wednesday from 6-9 with a cash bar. 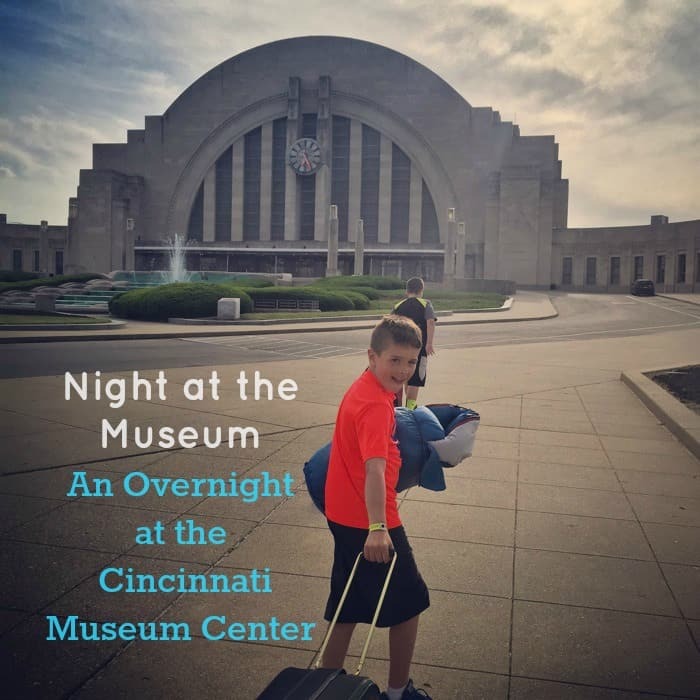 The Cincinnati Museum Center is located at 1301 Western Ave, Cincinnati, OH 45203. Disclosure: I was given complimentary tickets for review purposes. All opinions are my own. 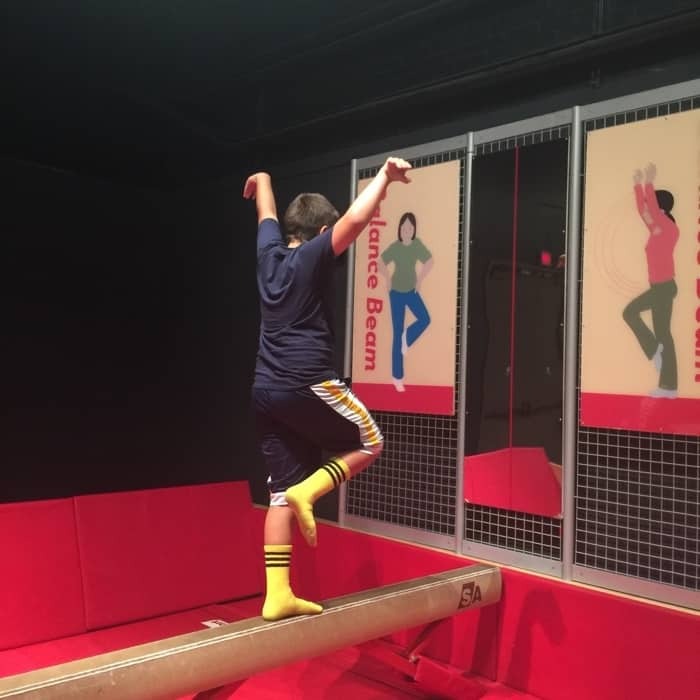 There are some Cincinnati traditions that families look forward to each year. The Holiday Trains are one of those special traditions that mean a lot to audiences of all ages. 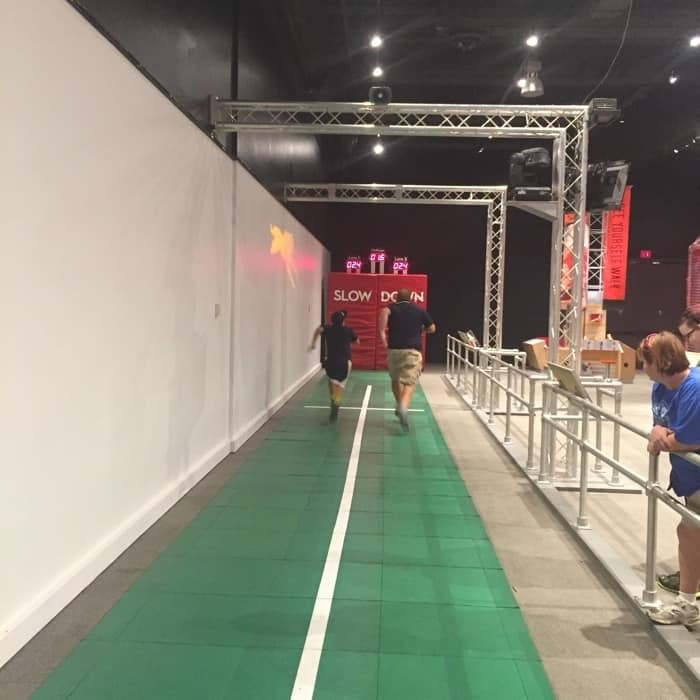 I have fond memories of seeing the trains downtown as a child and now visitors can see the trains at their permanent location at the Cincinnati Museum Center. You know that Christmas is just around the corner when the trains are on display. 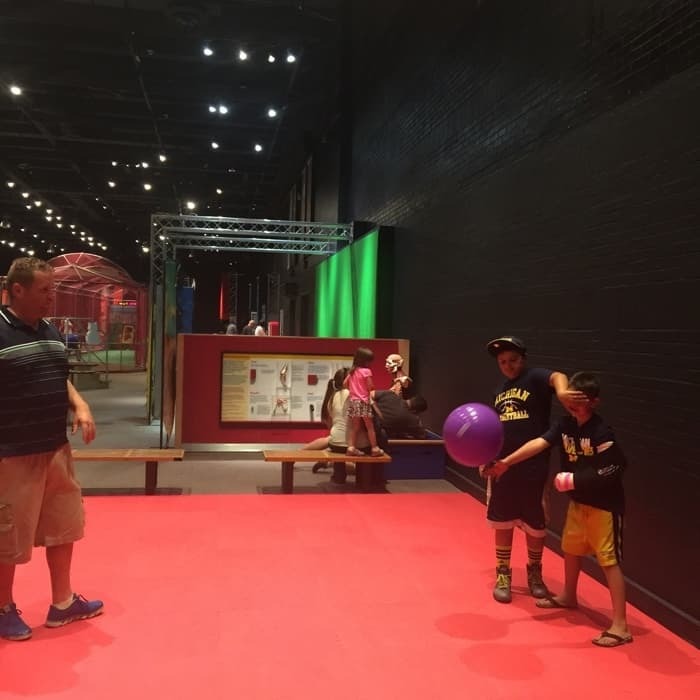 There are so many great activities going on around the 4th of July in the Cincinnati Metro Area. 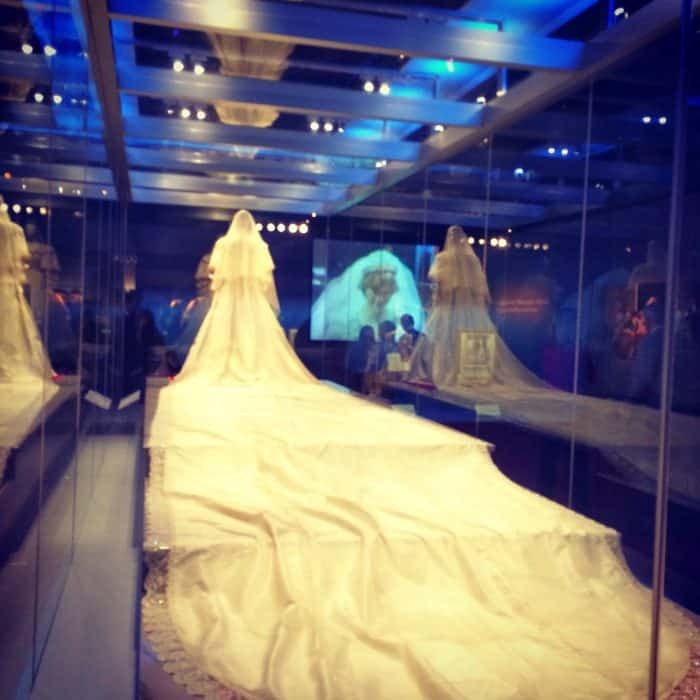 Here are few events that you don’t want to miss! Just click on the link to find out more information. Have a great and safe 4th of July everyone!